Grocery shopping is, for the most part, a daunting task where money is concerned. A lot of emphasis is placed on the average cost of a weekly shop for a family of four, and sometimes it's tough to know what to buy. With the start of the academic school year upon us, the need for adding new packed lunch items starts to show itself on our shopping lists. There is even more to buy and the cost seems to go up and up. What if there was an easier way? 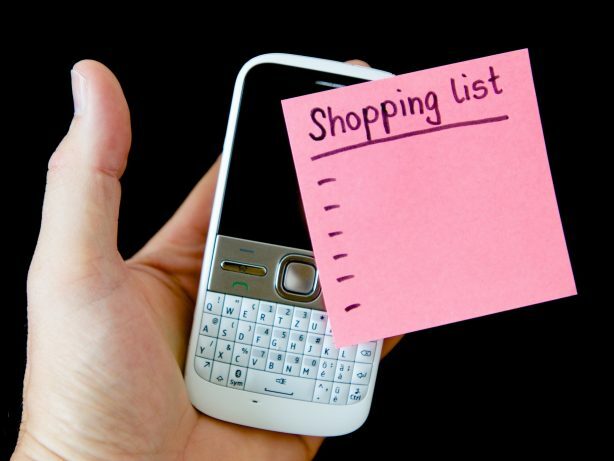 A guide or list of grocery products to give you an idea of what you could be looking for, all for an affordable price? Well, that's what this blog post is all about! 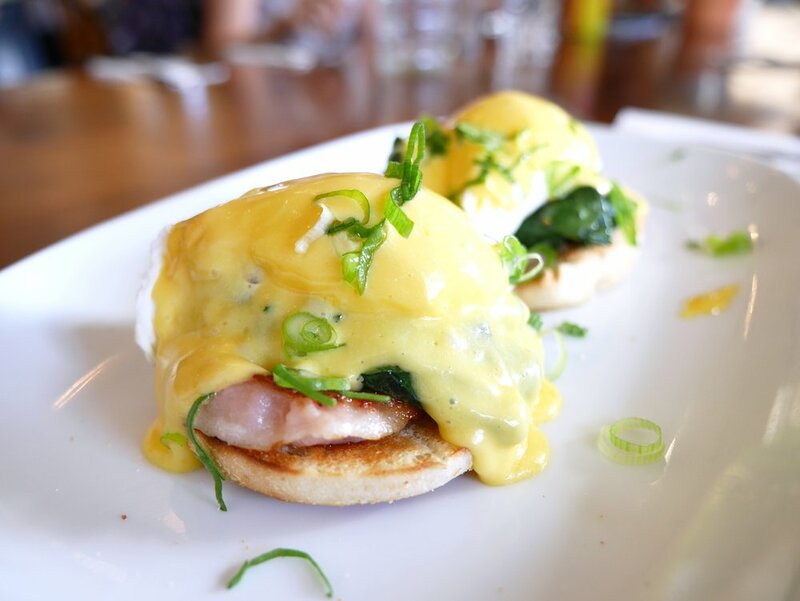 Now, we all know breakfast is the most important meal of the day. So why not get the whole family eating something truly delicious and nutritious. You need a boost to get you through the morning, no, not just the morning, but the entire day. 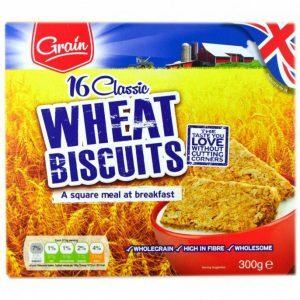 It all starts with a hearty dose of these Grain Classic Wheat Biscuits, they're great for everyone and go great with a splash of milk. 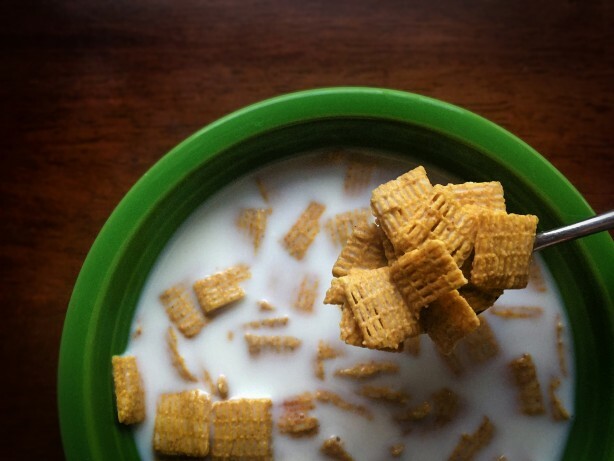 Those and these Weetabix Weetaflakes are a great way to Carpe Diem. What if you need your breakfast on the go? Maybe you just wish to have it in the office later, or perhaps just want to feel the warm oaty taste of Oatburst? 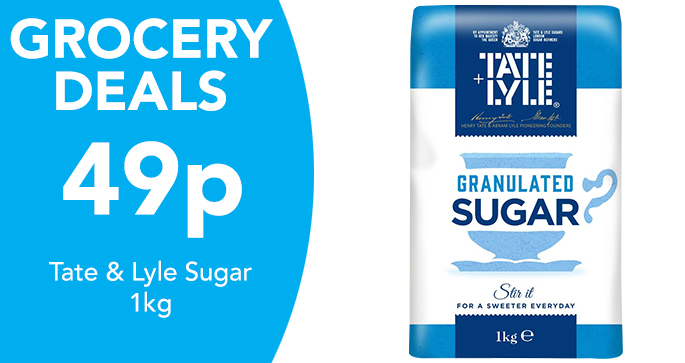 Here we have 3 delicious instant porridges for you to sample: original, golden syrup, and apple & blueberry. Whether it's for a child or adult, these items are all fantastically affordable that will make any lunch satisfying and filling. Let's start with some sandwich fillers. 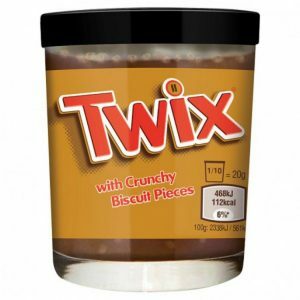 For a tasty treat that's bursting with delicious chocolatey goodness, why not give this Twix Chocolate Spread a try in a sandwich? Nothing screams a special lunchbox treat like some chocolate between bread. 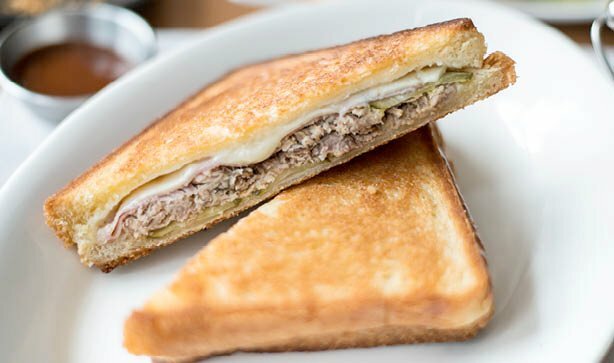 Or if you wish to go for something a little healthier you can try a sandwich with some Ocean Best Tuna, Green Giant Sweetcorn, Baxters Beetroot, or Harwards Silverskin Onion inside, with a good dollop of Hellmans Mayo of course. Next, you should really have some fruit thrown in. 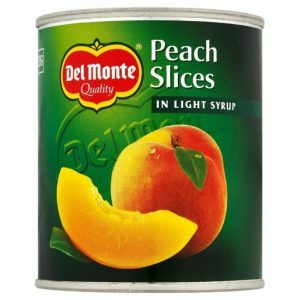 These Del Monte Peach Halves (or Apricot if you prefer) are great for getting 1 of your 5 a day, that or this Del Monte Light Fruit Cocktail. Want a snack in there too? 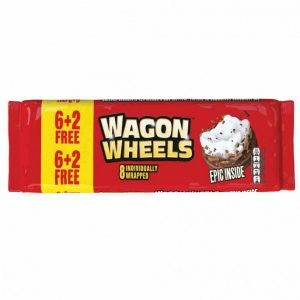 These Wagon Wheels come in a pack of 6 with 2 free, whilst these Higates Flapjacks come in 4 great flavours (white chocolate, original, chocolate, and coconut & cherry). And to top it all off, have these classic Space Raiders to give you that final treat you all deserve. Both the standard pickled onion and the beef flavours are still loved across the recent generations. Last, here come the drinks. 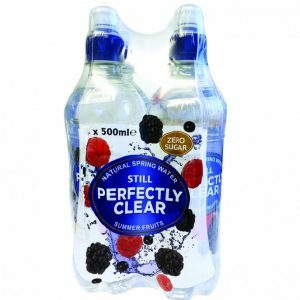 Get hydrated with these fruity Perfectly Clear Spring Waters, coming in summer fruits, strawberry, and lemon and lime flavours. If water isn't really what you're looking for, then try these Maja Juice Drinks in either orange or multi-fruit. 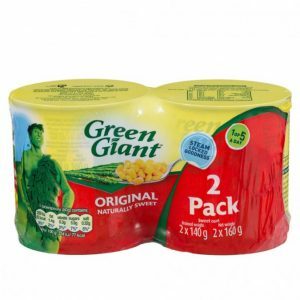 They come in a great pack of 10 and will last the entire week which equates to great packed lunch filler. So, if you're at home instead (or you wish for a warm and quick meal at the office) then you're in luck! 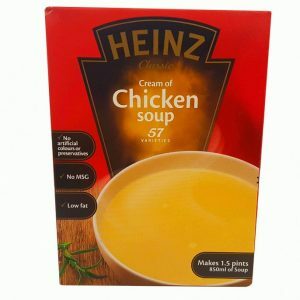 At Poundstretcher you can grab great branded products such as some Heinz Simmer Soup Cream of Chicken or their Tomato Chilli Pasta with a 5 minute cooking time, or these Mug Shot Snack Stops (in sweet and sour noodle, chicken noodle, cheese pasta, and tomato pasta flavours). 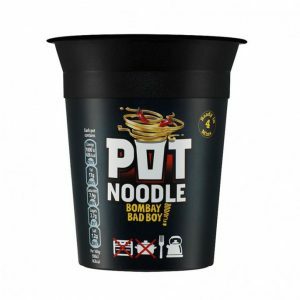 Perhaps you're feeling rebellious and want some Pot Noodle in their Bombay Bad Boy taste sensation? Or Uncle Ben's Rice Time, a great quick-and-easy pot of rice with curry sauce (red Thai, green Thai, and Cantonese) that will give you that warm get-up-and-go feeling you need at lunchtime. If curry is more your thing there's also the Curry Express that'll take you on a tasty trip to Savouryville! 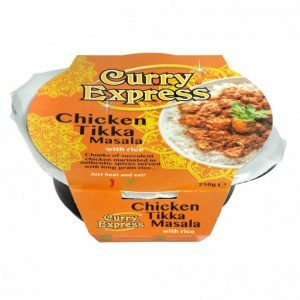 There are numerous stops, such as korma, rogan josh, tikka masala, and jalfrezi, all that can satisfy anyone's hunger. Dinners can become a major hassle, deciding what to have, when to have it, etc. However, here Poundstretcher has a list of everything you would want to have for a weekly shop. Starting with pasta and spaghetti, it's something for the kids. These Crosse and Blackwell Kids Shapes come in a variety of different characters, such as those from Star Wars and Frozen. For penne pasta, we have Buitoni's very own. 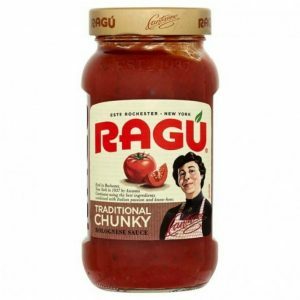 With some Amore plum or chopped tomatoes (or using some Ragu Traditional Chunky Bolognese Sauce), you can have a tasty Italian dish with ease every time. Another day why not try something with rice? Blue Dragon Egg Fried Rice to be exact, or maybe Patak's Pilau Rice instead. With your carbs in place, you can start to add Mai Thai Coconut Milk with some herbs, spices, and chicken to make a delicious Thai curry. 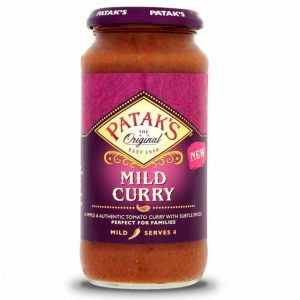 It's either that or using Patak's Mild Curry Sauce for a delectable Indian-style delight (with naan and poppadoms, of course). There are also fast and convenient dinners available to you. 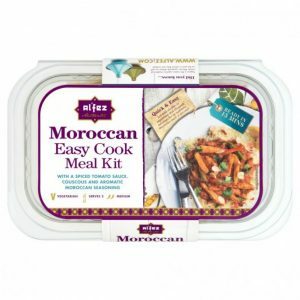 Take this Al'fez Moroccan Easy Cook Meal Kit, which has everything you need to make a tasty meal for two. 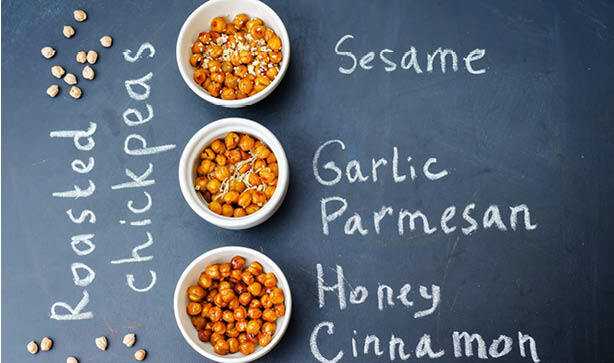 Pair them up (or any other meal) with peas and beans from Bonners and you have yourself a healthier and greener meal. There are so many cupboard-fillers that can be used to make great dinners even better. 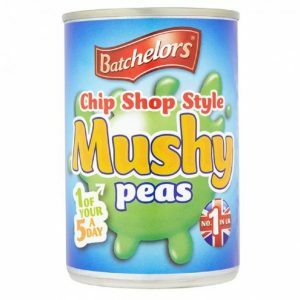 They include Batchelors Mushy Peas, Goldenfry's Dumpling Mix, Yorkshire Pudding & Pancake Mix, and Gravy Beef Mix. 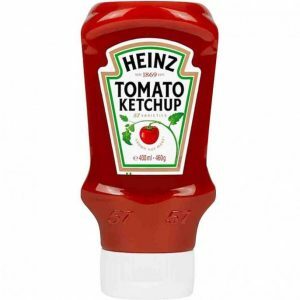 Not to mention all the condiments and seasonings you could be adding in, like Heinz Tomato Ketchup and HP Garlic BBQ Sauce. Don't forget the Saxa White Pepper and Salt, Vinegar (great with some chips), and everything from Natural Herbs & Spices. 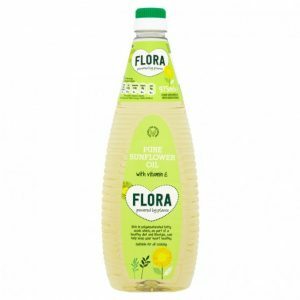 Also, what cupboard would be complete without some Flora Pure Sunflower Oil, flour (self-raising and plain) and some sugar? Now onto the treats and drinks. 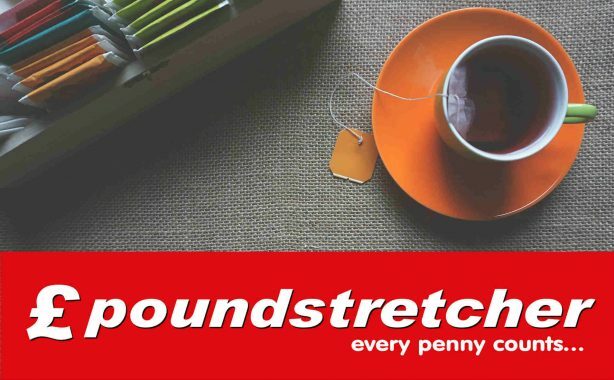 At Poundstretcher you can be assured you will find coffee, tea, biscuits, and more all for an affordable price. 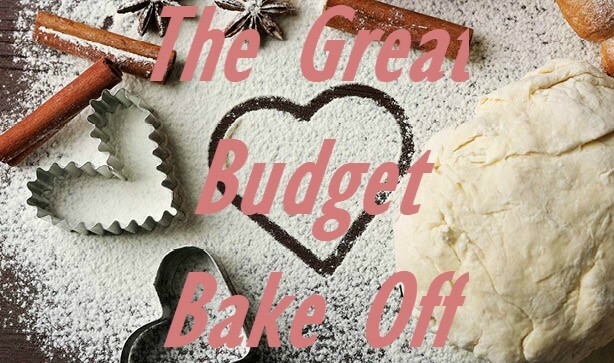 Even whilst on a budget you can still enjoy something sweet and indulge. 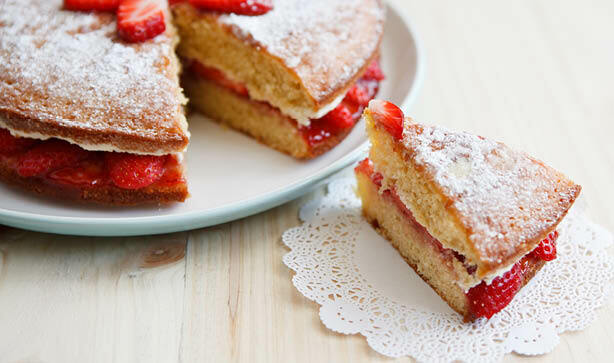 For example, why not get your Bake-Off fix with some baking? 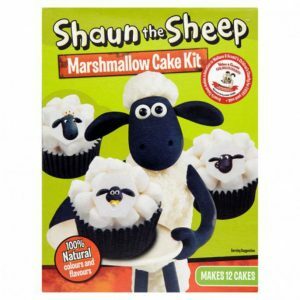 These adorable Shaun the Sheep cakes can be made using a simple cake mix. What better way to quench the thirst after a job well done than with some Jucee Summer Fruits with no added sugar. 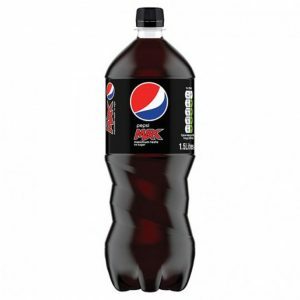 If you don't want cordial, then there's Lyons gold roast coffee, Typhoo 100 round tea bags, and Pepsi Max in a 1.5l bottle. Add some Carnation Evaporated Milk and then dunk in some delicious biscuits for a great way to spend the afternoon. Like what you see so far? Well then, get a load of this! 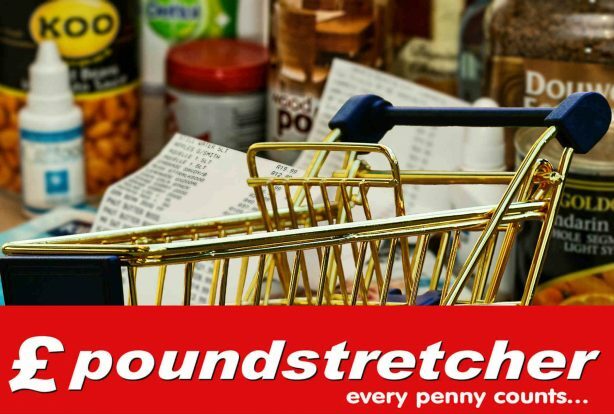 This printable grocery list is something you could take with you next time you visit Poundstretcher. It's perfect for those on a budget, with a price range of around £30-£40. Unsure where your nearest store is? Our Store Finder will help give you directions and show you opening times of your local store! Tea. It’s an ever important beverage here in the UK. 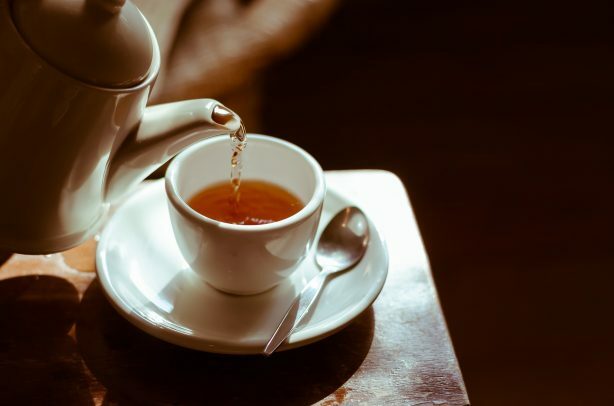 We as a nation drink 165 million cups of tea on a daily basis; that's 60.2 billion being sipped on every year according to the UK Tea & Infusions Association. That’s a lot of brew! I think C. S. Lewis said it best: "You can never get a cup of tea large enough or a book long enough to suit me." 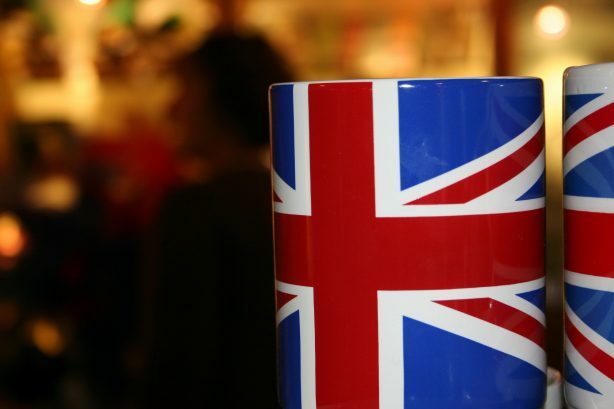 It's true we are a tea-loving nation, but do you think you know all there is about it? You might drink it every day, you swear by the stuff, and you know your oolong from your pu-erh. So, do you think that makes you some kind of expert? Well, maybe you are, but why don’t you try and see how many of these facts you know? On one hand, you may just learn something, and if not then you can have the satisfaction of gloating. It’s win-win. Despite our nation being synonymous with tea, many others around the world had sampled and adored the beverage first. 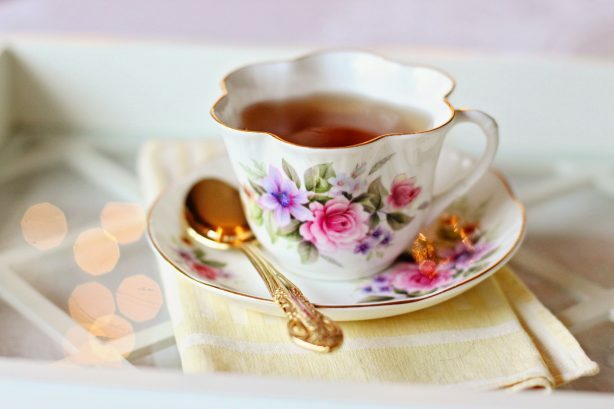 Long before we even began to enjoy a nice cuppa and a biscuit, tea was being drunk as a medicinal drink in Southwest China as early as the Han dynasty (206 BC - 220 AD). However, if you wish to believe in legends then the tale of tea goes back even further. In 2737 BC, the Emporer of China and renowned herbologist, Shen Nung, had been waiting within the shade of a tree for his boiled drinking water. It was at that point leaves blew down and rested atop the water, infusing the flavour into it. It was there Shen Nung sampled it, and in a stroke of serendipity the drink we call tea was born. Turns out, that very tree was a Camellia Sinensis (the same plant we use to make tea today). Whether or not this was true, the fact that tea was huge in China is no understatement. It even ranked up to being a recreational drink throughout the Tang dynasty (618 AD - 906 AD) and became their go-to national drink of choice. From there, Japanese Buddhist monks came over before introducing it back home in Japan (another nation where tea was a foundation of their culture). Despite this, it wasn't until the latter half of the 16th Century when Europeans began to hear of this exotic beverage. It was something of a curiosity gifted from sailors as the British East India Company dominated the import market. This stayed that way until the mid-1600's when tea became known as a drink for the wealthy. This was due to the marriage of Charles II to Catherine of Braganza who was a huge tea fanatic and made it hip and fashionable. Tea plants, Camellia Sinensis, are evergreens that mainly grow in the wilds of tropical and subtropical climates. However, did you know you can grow your own tea here in the UK? It's true! After all, the plant originates from the damp, cool mountains of China. 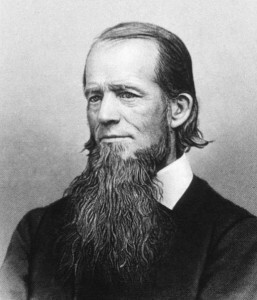 People all across our nation have been growing their own for quite a while. Taken from seeds and cuttings, it takes between 4 to 12 years for a tea plant to bear seeds. After that, you add on another 3 so they can be ready for harvest. The growth is best with acidic soils and naturally require at least 127cm of rain a year with elevations of up to 1,500m above sea level. 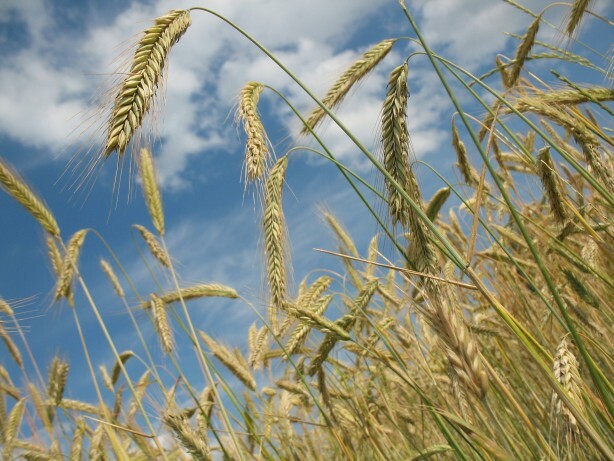 They can grow up to 16m if left undisturbed, though are trimmed to waist-height when grown to be harvested. If you are planning to grow your own tea you needn't worry about the elevation. Whilst the height provides a better flavour to the leaves (due to the higher up it is planted means it will grow slower), it isn't a necessary factor. What is important is to keep the plant in plenty of sunlight and keep them sheltered from the harsh British weather until they become taller (anything past 1m and they can fend for themselves outside). 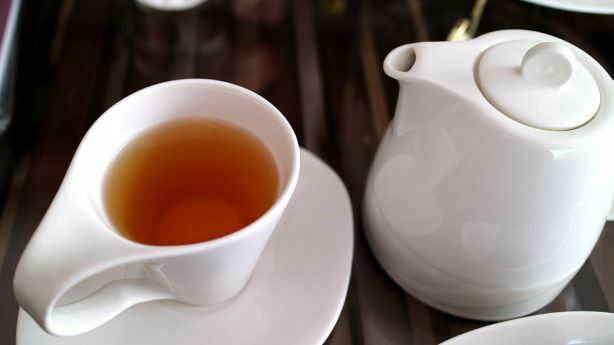 Which Teas Help Burn Fat? There's growing tea, and there's drinking it; it's the latter you'd care more about, right? Well, tea has so many wonderful benefits to it. There's more to this long-time favourite than just having something warm to sip on when it's cold or a drink to accompany your afternoon biscuit(s). For instance, take burning fat; it's something more people are becoming concerned about and are turning to tea for help. However, you need the right type first to better gain the desired effects. 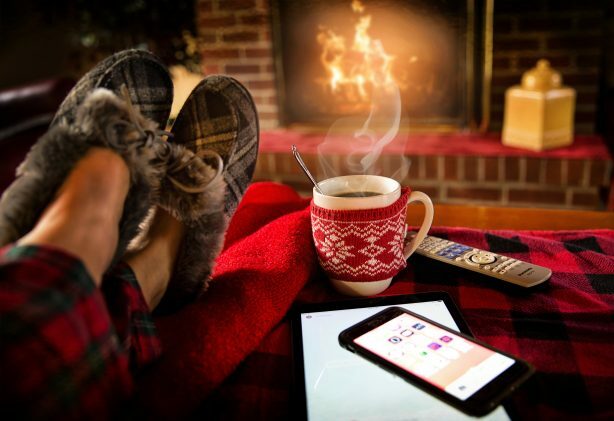 Most teas are great at helping with managing your figure; be it to give your metabolism a little boost, reduce bloating, help burn calories easily, or shut down the need for snacking. It's a wonderful drink, but there are teas that work better than most. These would be the likes of pu-erh, oolong, and rooibos. Pu-erh, a fermented Chinese tea, is great for reducing belly fat and lowering the amount of fat in the blood. The same can be said about rooibos tea, a sweet drink made from leaves from the Rooibos bush in South Africa. 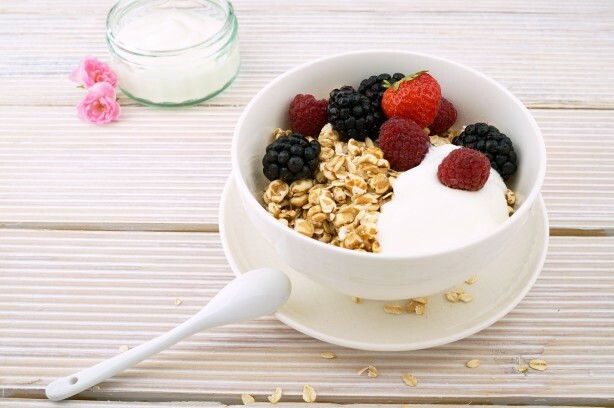 It's said that the polyphenols and flavonoids found in it inhibit the forming of new fat cells, and is a great way to kick-start your metabolism. Now here's one that's quite well known; oolong tea. This drink is rich in antioxidants and is a traditional Chinese tea. 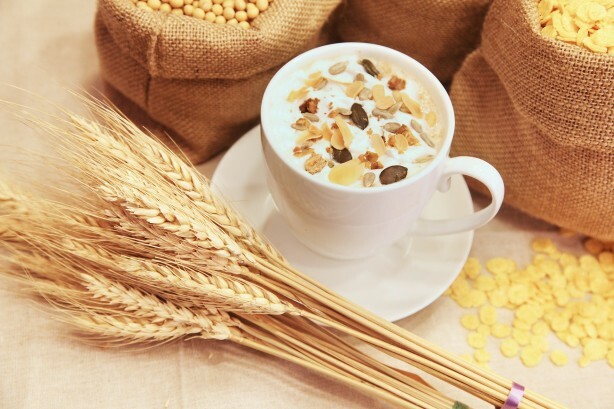 It can assist in controlling cholesterol, boosts metabolism, and aids digestion. 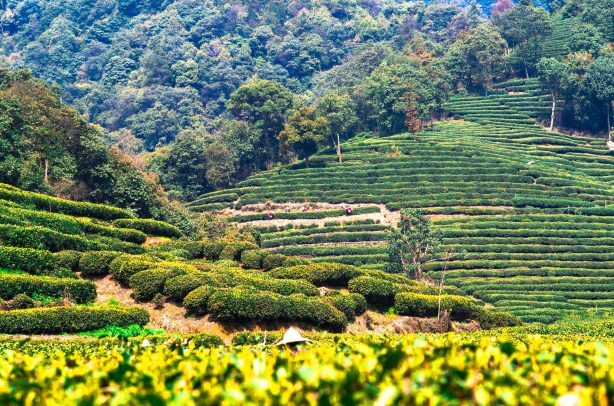 It's what you'd expect from the land where tea was originated and used as medicine, right? It's also full of catechins that help you burn fat quickly, even so much as a pound a week according to a six-week Chinese study. Paired with exercise and healthy eating, all it takes it sipping some tea now and then to really aid in your endeavours. Which Tea Doesn’t Have Caffeine? Now, certain teas might claim to be decaf, in which it doesn't have any caffeine in. However, whilst it is true that they have significantly fewer amounts compared to non-decaf, there are still traces of caffeine that remain. So, it's not caffeine-free, is it? But don't lose hope! There does exist a tea out there that has no caffeine in it whatsoever, and it's fantastic for you health-wise. It's a tea you've bound to have heard of: herbal tea. Be it a sweet peppermint, a calming chamomile, or a sharp ginger tea, all of these are great for being non-caffeinated. So, you can enjoy a nice refreshing hot drink, whilst not pumping your body full of caffeine. Oh, and all of these are great for digestive issues, whilst peppermint especially helps clear nasal passages, chamomile is great for anxiety, and ginger is perfect for nausea. Now, we've all heard of antioxidants, right? They're found in fresh fruits and vegetables, alongside tea. They have great health benefits such as clearing out unwanted things from your bloodstream and have been known to reduce the signs of ageing by minimising wrinkles. They even can help your mind by relieving stress. 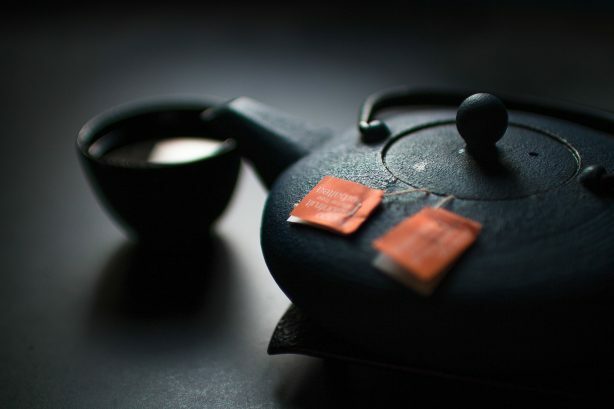 So, which teas are best when you want more antioxidants in your diet? Well, it's the coloured teas that are what you're looking for; black, green and white. They all offer the same cardiovascular benefits, with each having a slight difference. To start with, black tea is the most oxidised of them all. Though, it still contains a similar amount of antioxidants as it did before it went through oxidisation. It's said that drinking 3 or more cups a day may actually reduce the risk of a heart attack and promotes blood vessel relaxation. However, it contains more caffeine than green tea and contains a lot of polyphenols. It all depends on what you want out of your drink and your sense of taste. White tea is similar to the above, though due to it being dried in natural sunlight, it means that the catechin levels are much higher, but lowers tannins levels, which affects the taste and consistency. At the end of the day, it doesn't really matter which one you drink. There isn't an overall 'best tea' that is superior to everything. The taste, the caffeine content, the availability, even the cost, all of these make a big difference but all the teas provide the same health benefits. They can reduce the risk of cancer, helps the skin look its best, boosts your immune system and promotes a healthy heart. Which Tea Is Best For A Cold? Now, despite the sun being out (for the most part) the risk of colds are of course still around. 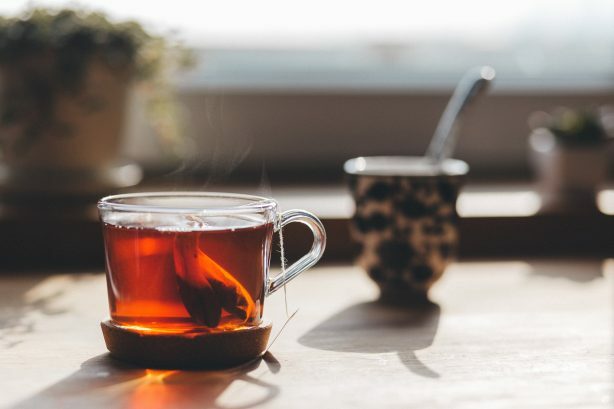 Being a hot drink you'd assume that tea would be great to drink to help chase away nasty infections; but which one do you go for? Well, like before there are many that help boosts your immune system (remember the above?). 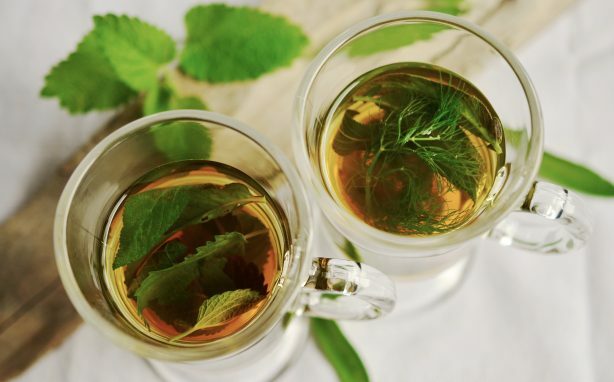 However, so I'm not repeating myself you can find lemongrass, ginger, and peppermint(that delightful menthol helps break up congestion) teas are fantastic at clearing out your nasal passages. The above also serve as calming and refreshing throat soothers. There's nothing like that wonderful warm feeling that comforts your body after a nice cup of ginger tea. Tea with honey is also a great defence when you have a cold. Pair that up with some white or green tea to destroy pathogenic bacteria, and you'll be feeling better in no time. 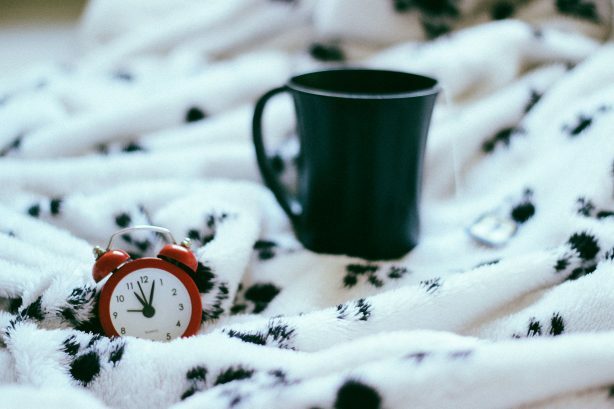 Which Tea Is Good For Sleep? Sleep is an important part of your health. We don't get enough of it. There are many ways to assist you in getting you to sleep peacefully. Those delightful rain/thunderstorm soundtracks on YouTube are one way, but tea can also be the saviour in helping you get some shut-eye! Good amounts of sleep (but also sleep that is great quality) impacts positively on your body. It helps give your body rest and a chance to repair itself. There are many teas that you could use, such as chamomile or herbal teas. With their soothing fragrance and taste it can work wonders. In fact, anything that has that calming effect is great to have when you're in bed with a good book. However, valerian tea is a herb that can be paired with tea for fantastic results. It can help those with insomnia, anxiety, and psychological stress and acts as a natural sedative. So there we have it, a small array of tea facts and advice to help you make the most out of Britain's favourite drink. Did you know all of the above? Was there anything in there new that you could apply to your tea-drinking life? How about one more little tidbit? There are an estimated 1,500 varieties of Camellia sinensis out there. Now, whilst we at Poundstretcher don't carry every single known one, we do sell all the top products such as Tetley, Yorkshire Tea, and PG Tips! Has all this tea talk made you thirsty? If so then why not see where your nearest local Poundstretcher is? Get out your tea cosy, and mosey on over by using our handy dandy Store Finder to grab some bargains in no time! It'll really hit the spot. 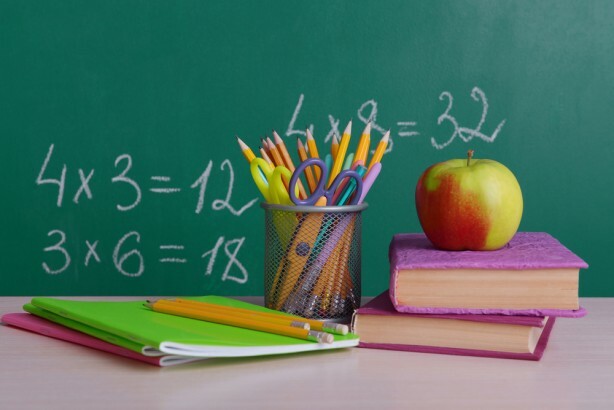 Back to School Essentials– be too COOL for school! The summer holidays are sadly coming to an end and heading back to school is coming round fast. But we at Poundstretcher have found a way to make your kids excited about starting the new academic year! 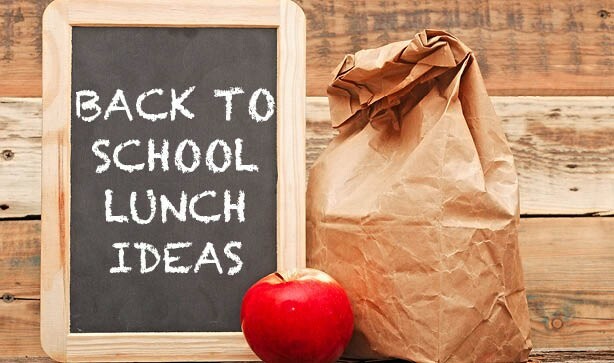 At Poundstretcher we have everything you need in our back to school range– from licensed backpacks to tasty lunch box fillers– so you can kick off the school year prepared! Whether your little one takes the ‘walking bus’ or gets picked up by the school bus, make sure when they go back to school, they have everything safely packed up in one of our licensed backpacks! 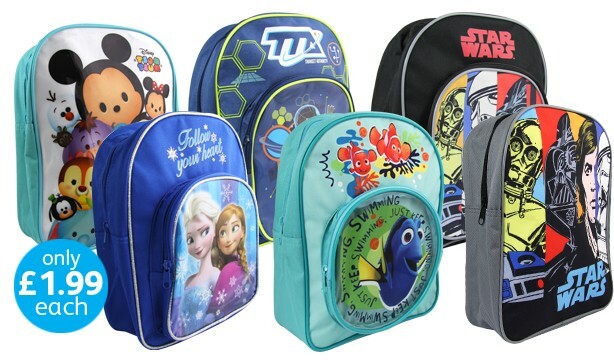 With all their favourite characters to choose from– Anna and Elsa from Frozen, Marlin, Nemo and Dory from Finding Nemo and retro Star Wars designed backpacks to choose from, as well as many more– you can be sure they’ll find their favourite! We have loads of different styles too! 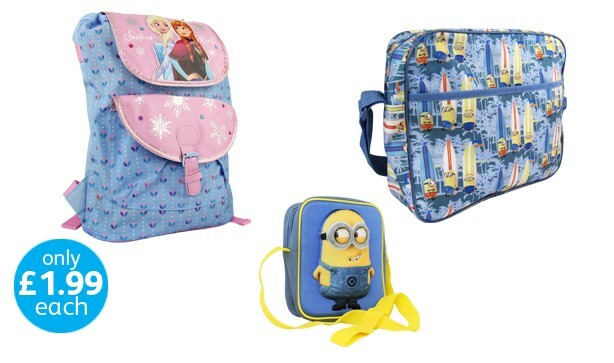 From satchels to rucksacks, lunch bags to drawstring haversacks– we can cater for whatever your child needs! 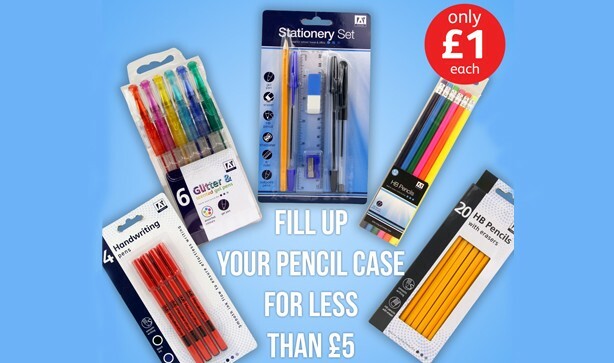 Pick from one of the many varieties of stationery sets we have, as well as handwriting pens for those in Primary School PLUS pencil boxes, funky gel pen packets and much, much more! 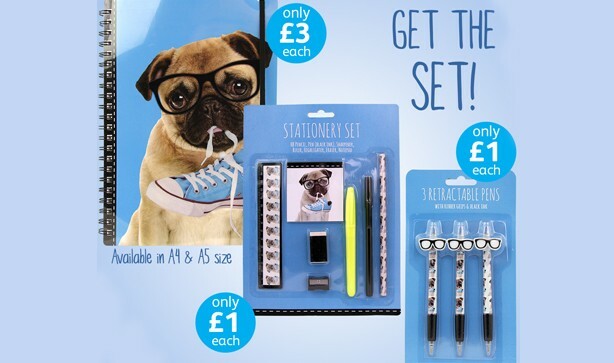 For the ‘Highschoolers’, we also have a huge range of stationery! There are variety packs of sticky notes, highlighter sets and even calculators, as well as fun coloured 30cm rulers– so you can be sure they are prepared and have the correct stationery for each class! We also have collections of matching stationery sets in different designs that are bound to catch their eye! 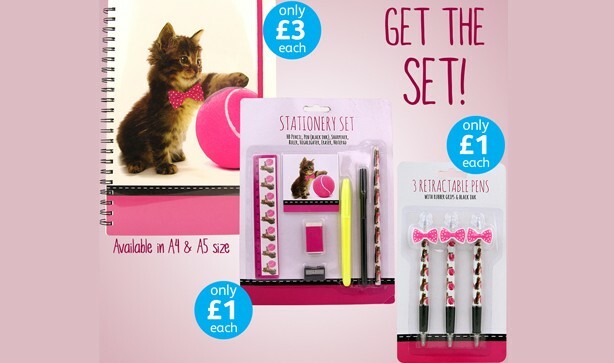 For the cat-lovers, there’s this adorable collection of kitten-themed stationery. The fluffy kitten playing with a huge tennis ball is the image throughout all of the stationery. And plus, with its charming polkadot bow tie, it's smart and cute– perfect for the classroom! And for the dog lovers, we have a cheeky pug having a good chew on a shoe lace! And, of course, the pooch is wearing a pair of on-trend hipster glasses– ready to take on any type of equation in class! We also have a dotty range that comes in two colours. 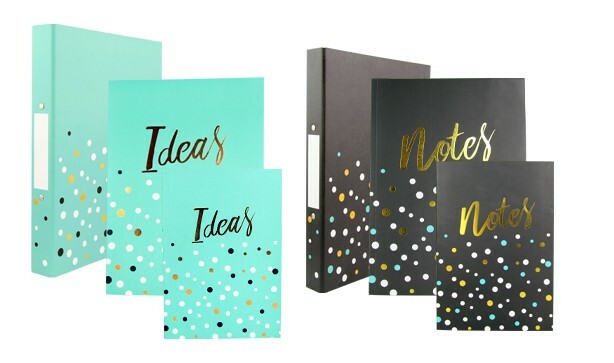 In these collections, you can pick up A4 ring binders for only £1 EACH and matching notebooks available in A4 and A5 sizes also starting from £1 EACH! 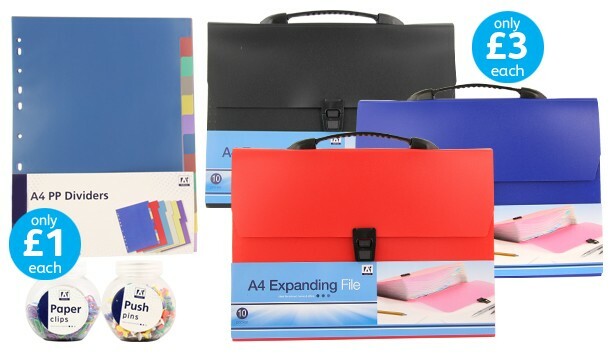 The best way to revise is being organised so make sure you invest in some of our filing and organising stationery. We have some classic ring binder and lever arch folders, perfect for keeping SATs or GCSE notes in order neatly. 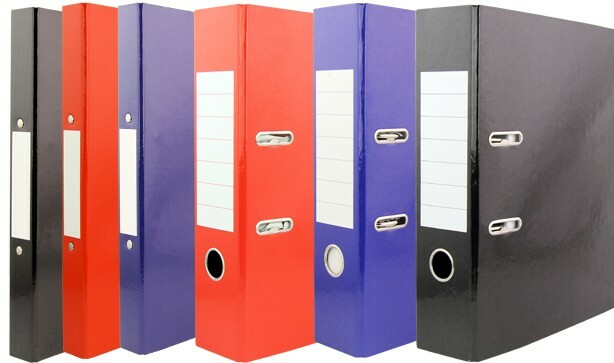 Although folders are a great place to collect notes, organising them properly is just as important! So get some order to all the paper and make revision as easy as possible! 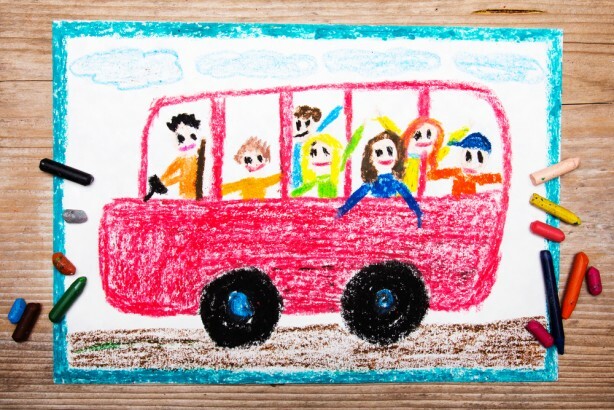 So, whether your kids are at Primary School, Secondary school or even heading off to college, don't forget to stock up on stationery, calendars and organising products so that the back to school transition goes without a hitch! 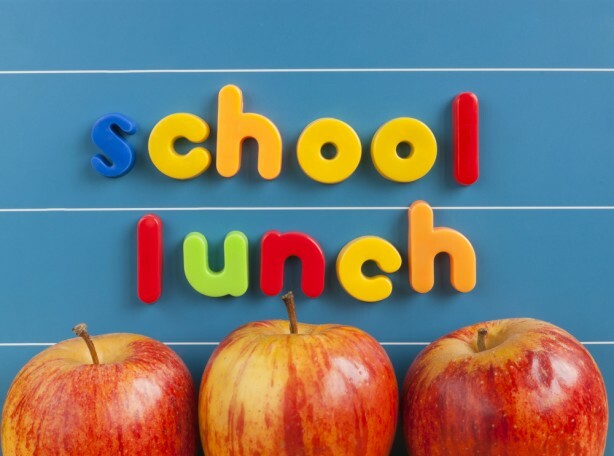 They say breakfast is the most important meal of the day but lunch is also really important for kids, as it gives them a much-need energy boost to get them through the rest of the afternoon at school! So, get ready for back to school lunches at Poundstretcher! 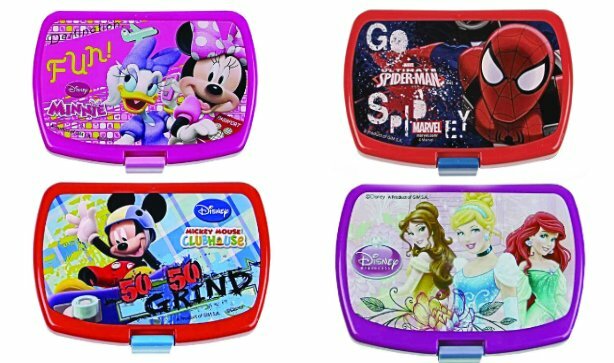 We have got some cracking lunch boxes and bags, amazing offers on packed lunch treats, and bargain sandwich fillers so you can make sure your family are all well-fed at school! Poundstretcher have any amounts of ways to carry your lunch; from licensed lunch boxes to lunch shoulder bags, handy Tupperware and plastic dining equipment so you can send your child back to school prepared, knowing their lunch will be safely sealed and still tasty by lunch time! 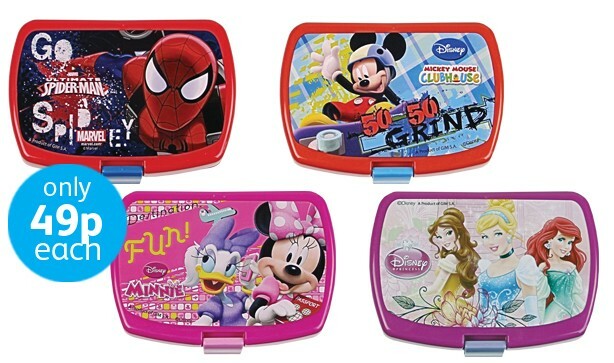 They can pick their favourite character with this selection of classic lunch boxes at the bargain price of ONLY 49p EACH! 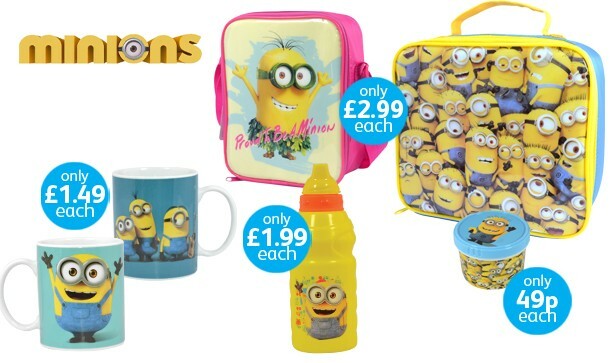 Or if your kids are 'Minion-mad' then we have a few different over-the-shoulder lunch bags, as well as water bottles and snack pots to match! 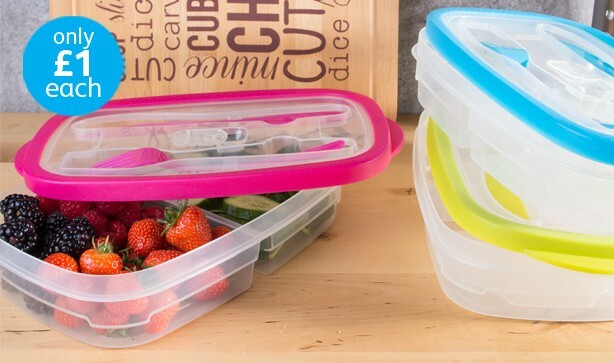 We have a wide range of savvy solutions when it comes to Tupperware too! 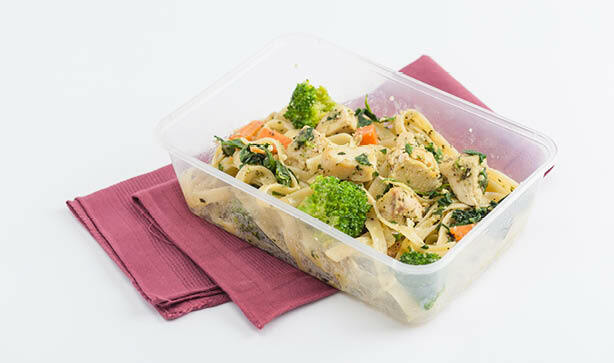 Microwavable, 100% sealed and including a matching cutlery set, these are great for any lunch meal! 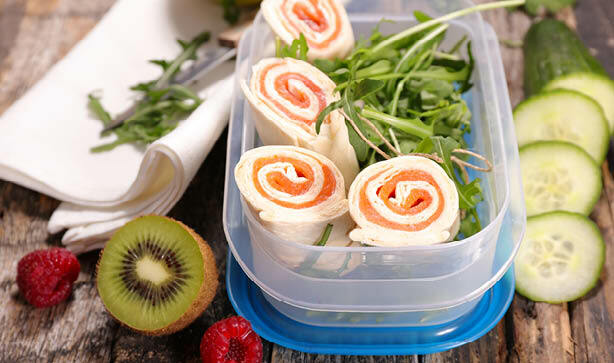 So, whatever you give your kids for lunch, we have a huge range of lunch storage solutions at bargain prices so you can make sure that your kids enjoy lunch going back to school! 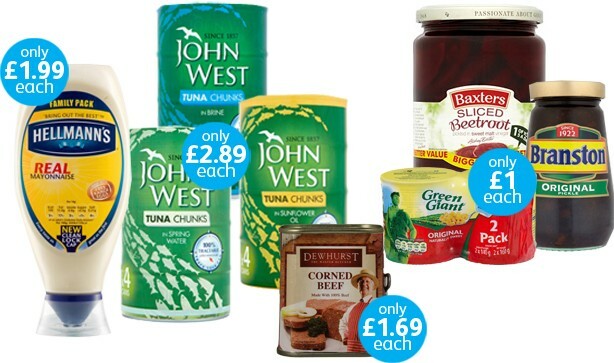 Everyone likes different things for lunch but we have a range of tinned goods great for cheap sandwich fillers! At Poundstretcher, we always have loads of offers on branded snacks and treats, too, so their packed lunches will be filled to the brim! Keep your kids hydrated with Poundstretcher! Take your pick from our extensive range of cold drinks! 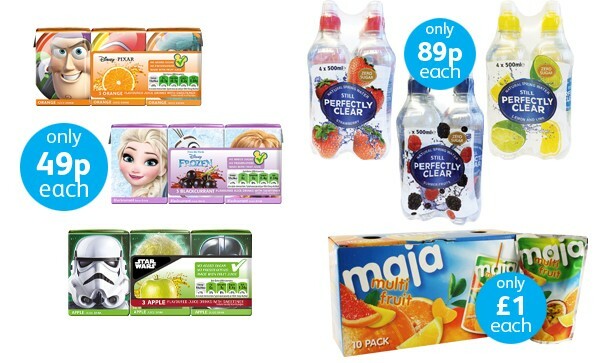 We have packs of Disney juice boxes and flavoured water all for less than £1 each! 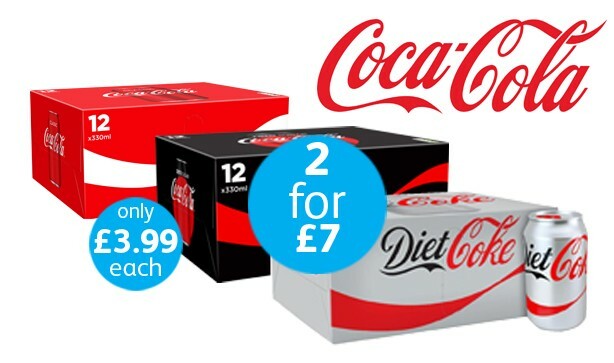 We also have huge deals on big brands, such as Robinson's cordial and Coca Cola so you can save more preparing for your little ones going back to school! 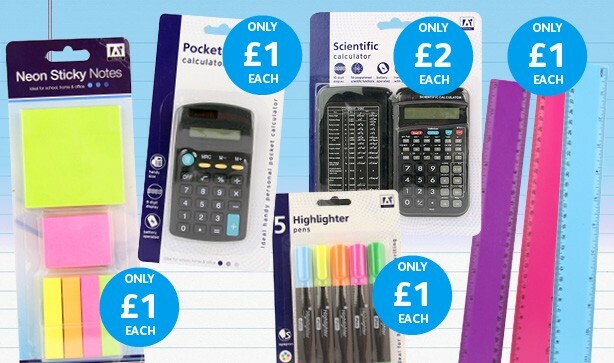 So, make sure you save this season with Poundstretcher's back to school range! Find your local store today and take advantage of our great products and big discounts on BIG brands! 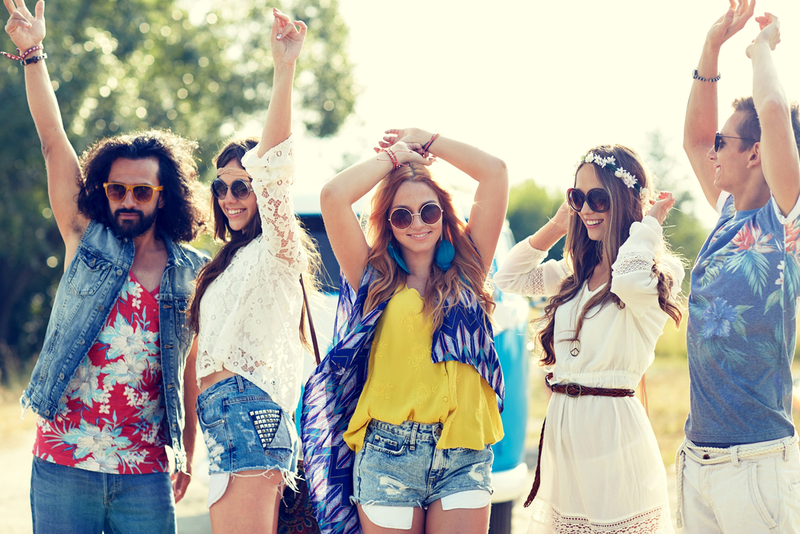 HOW TO stock up on Summer Holiday Essentials FOR LESS! School's out, the heat is all anybody can talk about and an ever-growing sea of angry-looking sunburn has infiltrated the general public. 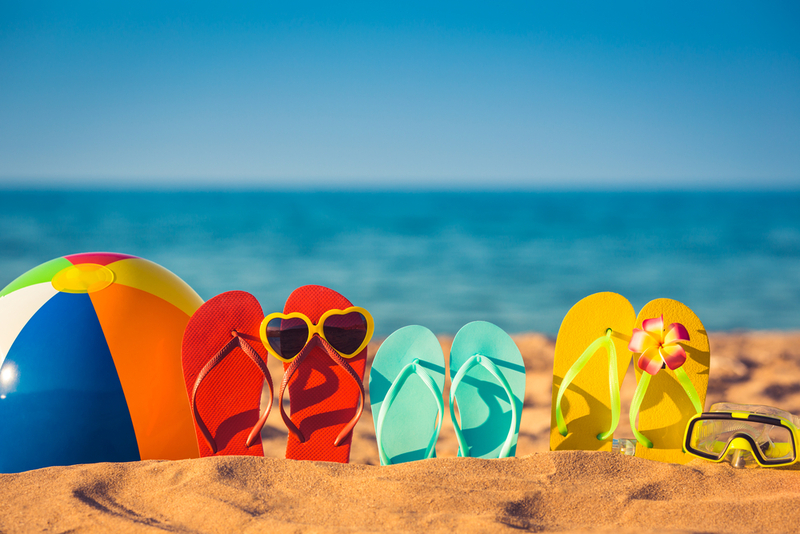 Yes, this can only mean one thing – Summer is FINALLY HERE! 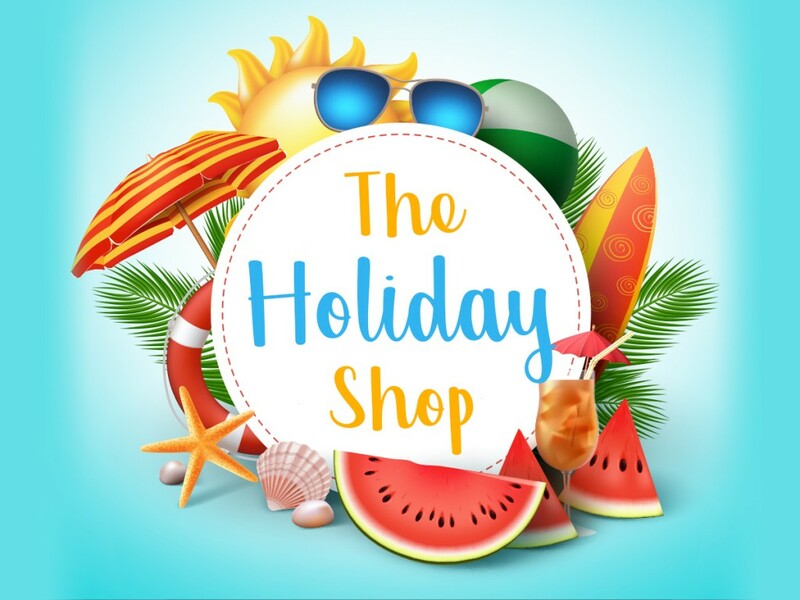 Whether you're jetting off to a luxurious holiday resort full of exotic beaches, luscious outdoor swimming pools and food that is near-impossible to pronounce OR you’re touring the Great British countryside, we at Poundstretcher have come up with some AMAZING deals on holiday essentials at our very own Holiday Shop! 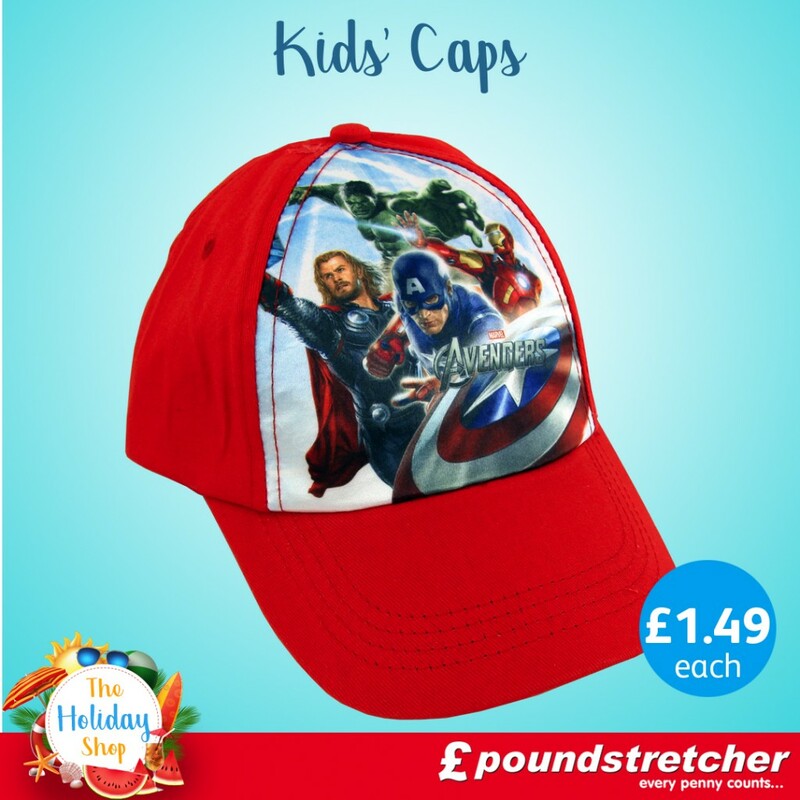 So, camping or cruising, sunbathing or site-seeing, skiing or ‘spa’ing- get on down to Poundstretcher and start saving your money for the really important stuff! Like a family trip to the local water park. Or an extra treatment at that relaxing beach-side spa! Wherever you’re travelling to- especially with children- it’s always good to have a supply of nibbles and snacks. 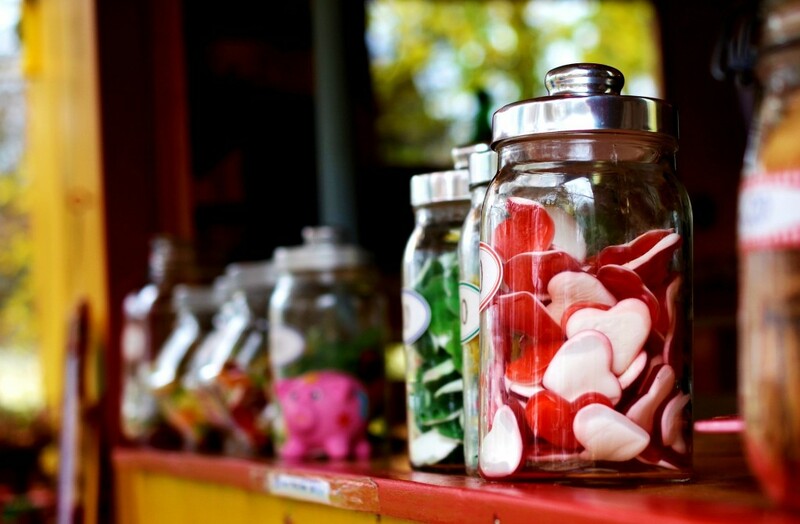 If you get stuck in traffic or your flight gets delayed, we have a massive selection of confectionary, biscuits, crisps and sweets on offer for the whole family to get their teeth into, as well as branded juices and fizzy drinks! 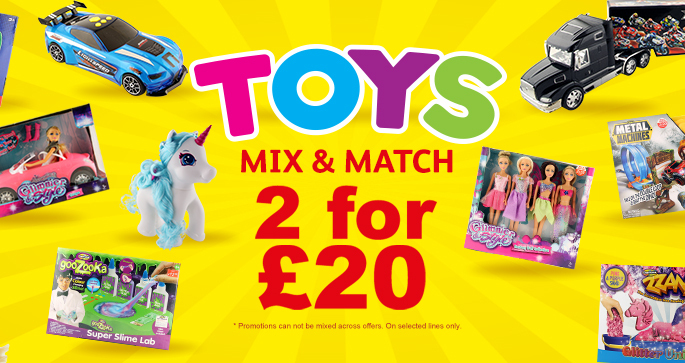 Get your kids 'Sunshine Ready' for less than £10! 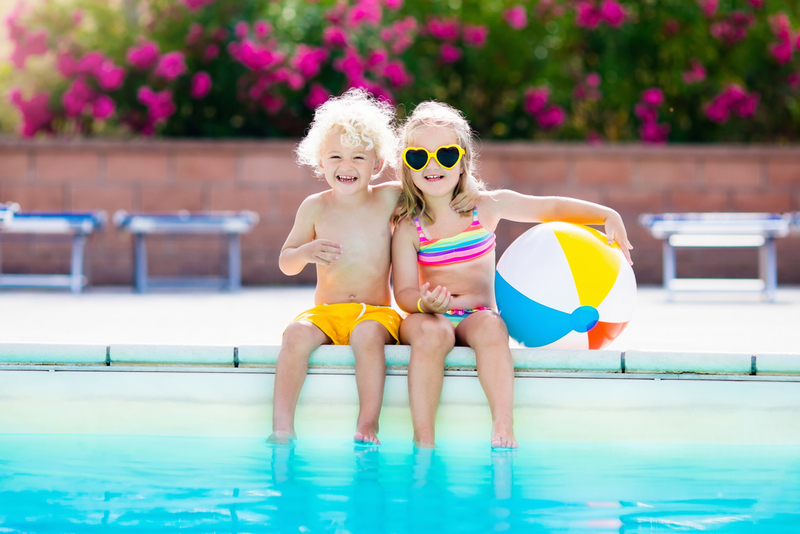 We all know how challenging it can be keeping your children protected from the summer sun- especially when the last thing on their minds when they're running around on the beach is getting sunburnt! But we have the solution! ...you’ll have no problem keeping their heads, eyes and feet safe from the heat! With many more characters to choose from, your child will be able to pick their favourite! 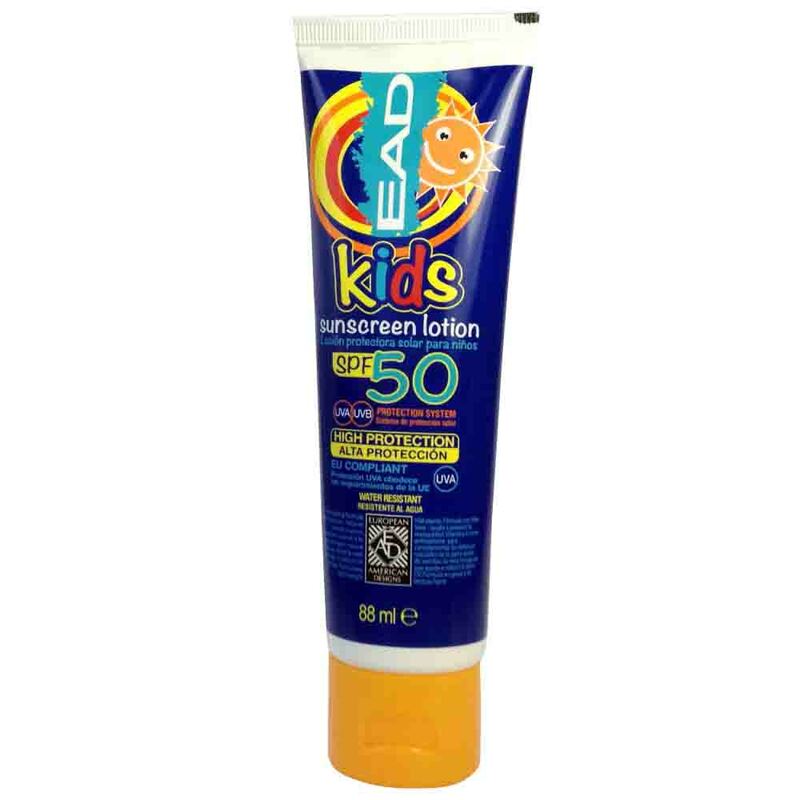 And with our Malibu Kids sun-cream SPF50 at only £1.49 a bottle, you can fully protect your kids so they can enjoy the sun all day long! Cause a SPLASH at Swimming Sessions! Get your little ones paddling around the pool with our inflatable range! With cheeky sea animal swim rings, summery-coloured armbands and cute octopus mini-mats, they can get used to the water in a fun and interactive way. And at less than £3 each, they can ‘just keep swimming’ all holiday! With all these amazing deals on kids' wear, you can give your child everything they need to enjoy the sun safely, all for less than £10! You can end up spending an infinite amount of money on expensive summer sandals and branded sunglasses. But it's time to RELAX! 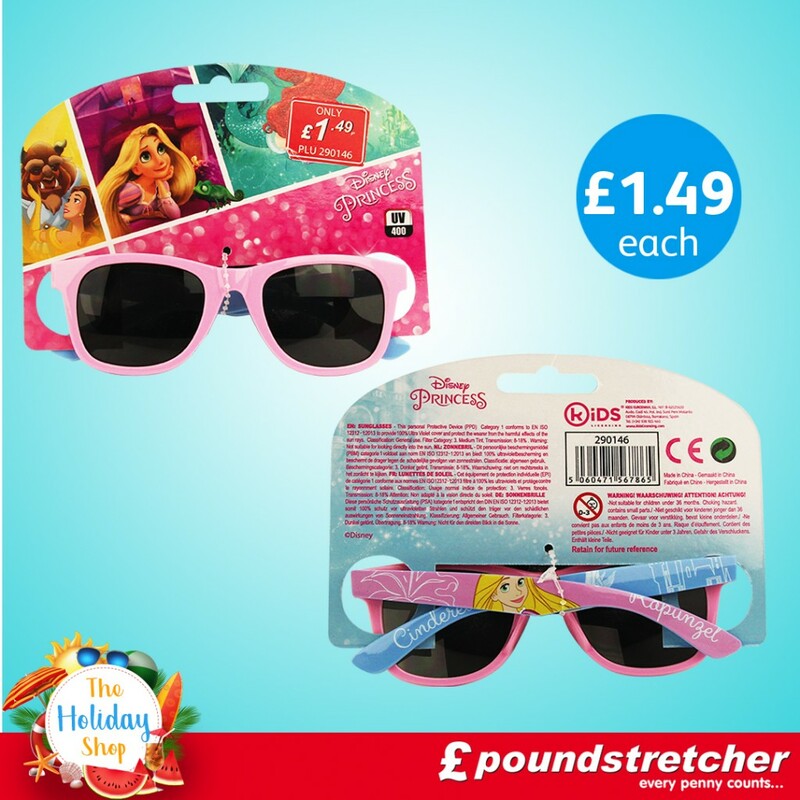 If you’re looking for holiday fashion without the huge price tag, look no further than Poundstretcher! 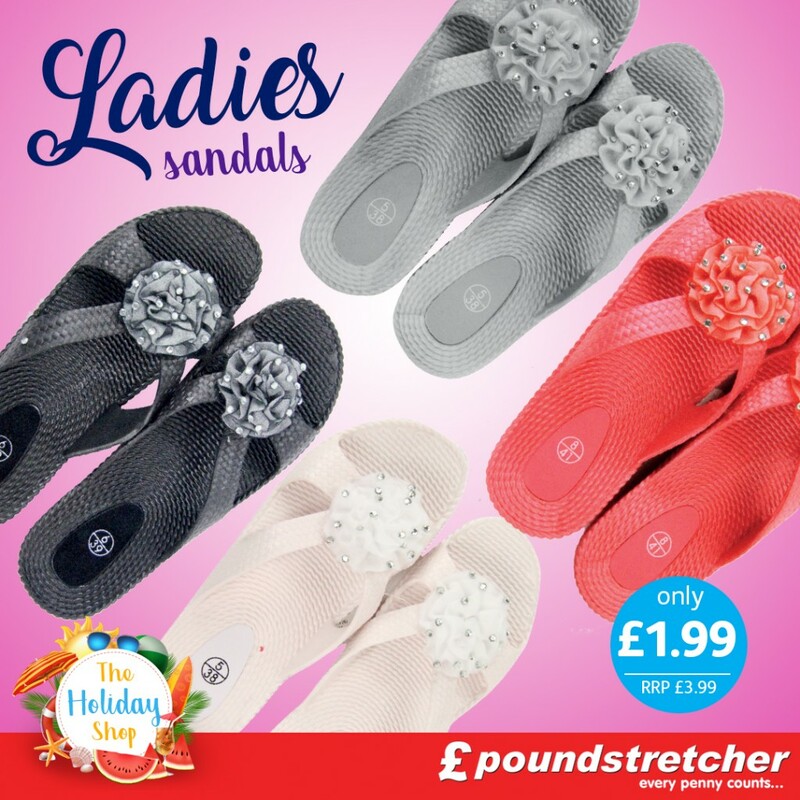 We have a gorgeous selection of stylish yet comfortable Ladies' sandals in four luscious colours at a jaw-dropping £1.99 each! 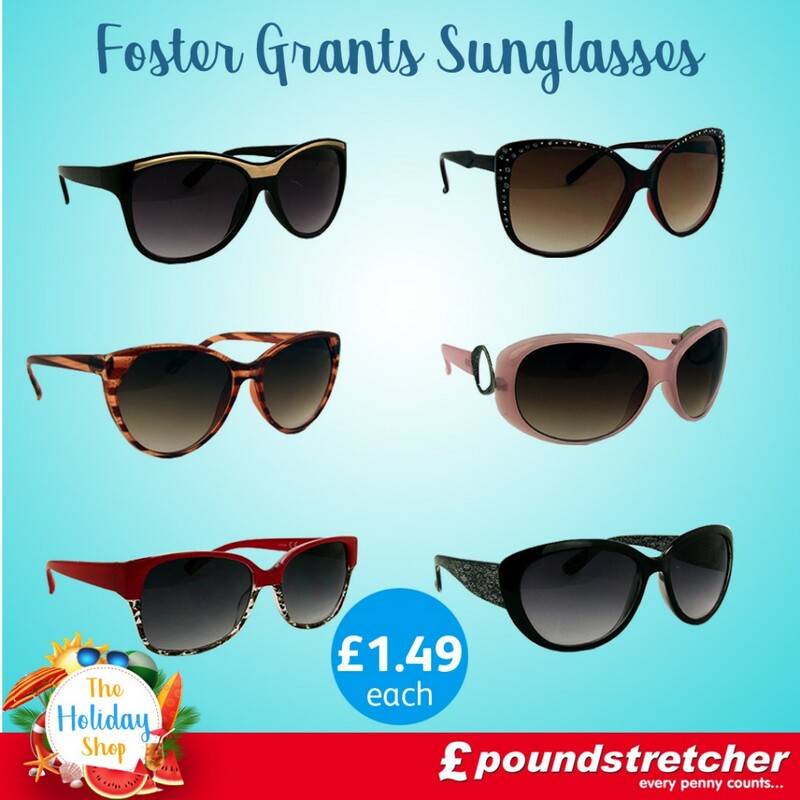 As well as these, we have a brand new range of Foster Grants sunglasses for both men and women at only £1.49 each. With a hugely varied number of styles, you can find the ones to suit you! And this year we’ve got an even bigger range of stylish, yet practical luggage in various sizes and at 'zipping' good prices! 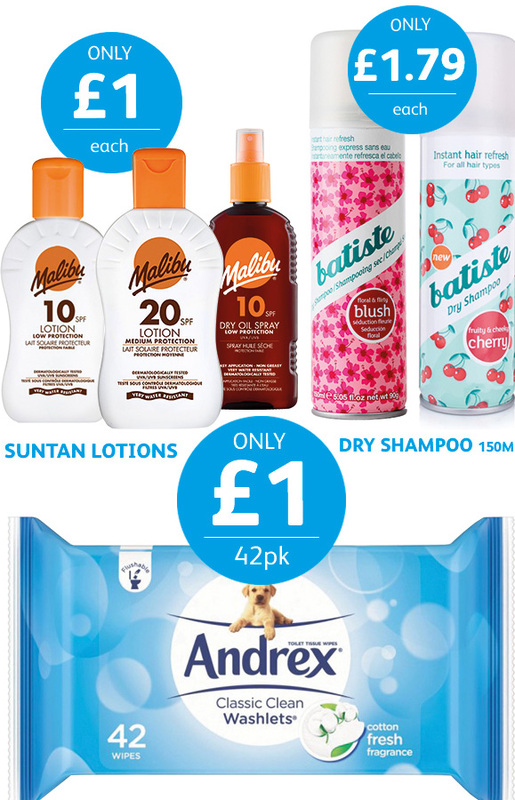 Essential holiday toiletries can end up costing a small fortune so, why not check out Poundstretcher’s BIG BRANDS with even BIGGER DISCOUNTS on Malibu sun-care, skincare, haircare, deodorants and wash products perfect for packing in your suitcase! 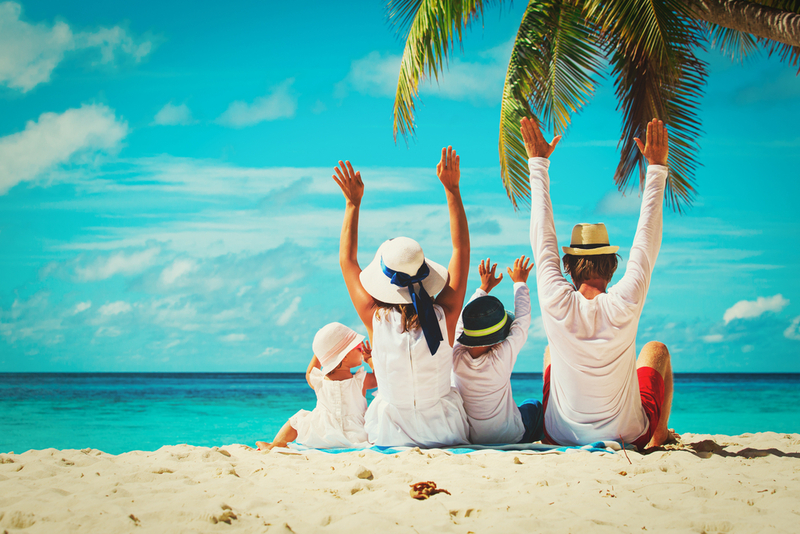 With our huge selection of holiday products, you’ll be able to get ready for your summer away without 'tanning' your holiday budget! 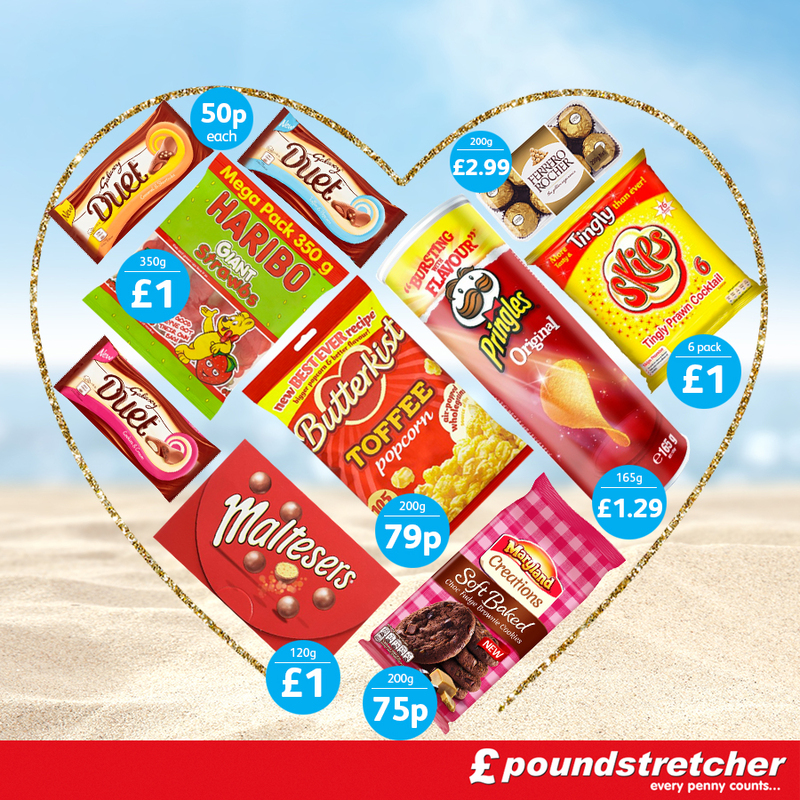 For more great deals and offers, get down to your local Poundstretcher to check out our Holiday Shop and get SAVING! Whatever you're getting up to this summer, from all of us at Poundstretcher, we hope you enjoy your Big Summer Blowout! A day or period of celebration where most social norms are abandoned, muddiness is a staple fashion statement and being drenched becomes the threat that umbrellas the entire event. 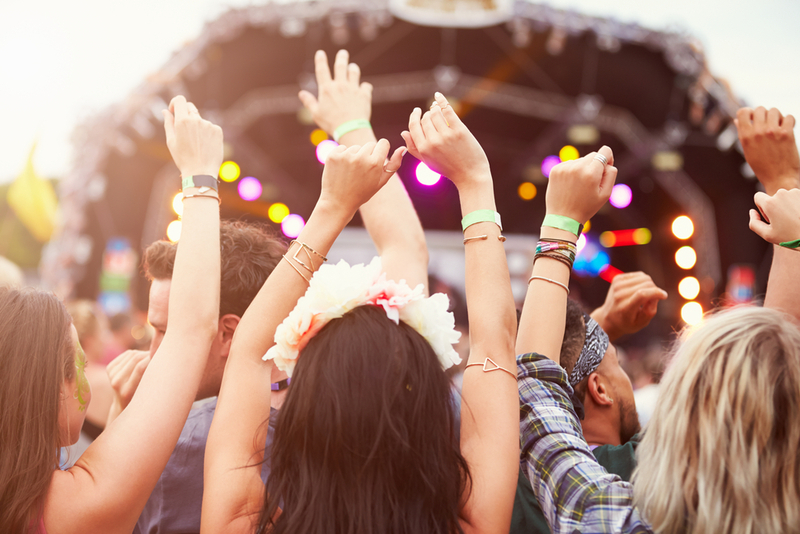 Whether you’re a seasoned festival goer or it’s your first time in the 'strawberry fields', most people have seen the years of media coverage in Glastonbury capturing thousands of sodden and grotty music fans squelching about and becoming engulfed in relentless barrages of torrential rain. But don’t ‘Freak Out’ — stay Chic! 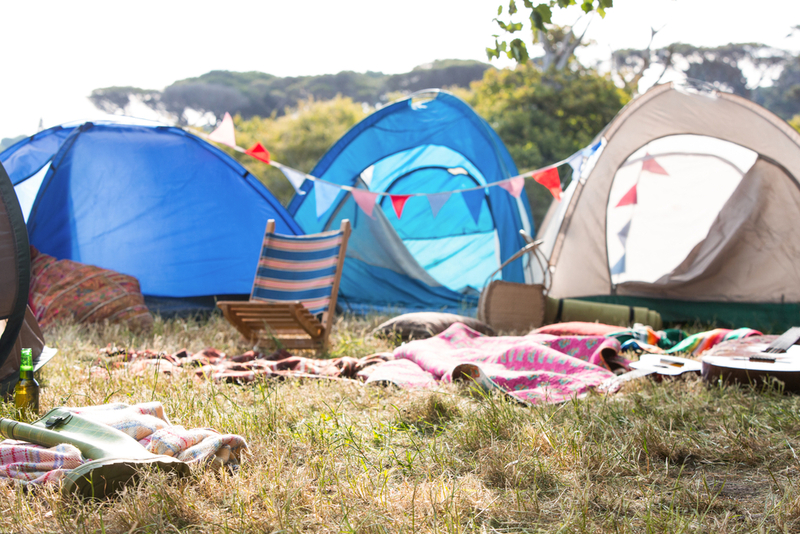 Obviously most people remember to bring a tent as standard but, when it comes to camping, especially at a festival, there are so many added extras that you can pick up for next to nothing at Poundstretcher which will make bracing the 'great' outdoors infinitely more comfortable! When you're having a fabulous time watching the Sunset with Ed Sheeran, the last thing you think you'll care about is grass stains or a damp bum! But, later, when you're shivering from laying in what was effectively a bog in your bare legs, you'll probably not care about that 'Castle on the Hill'. You will, however, probably wish you'd brought a waterproof picnic blanket along to keep you and your friends comfy and dry throughout the whole concert! 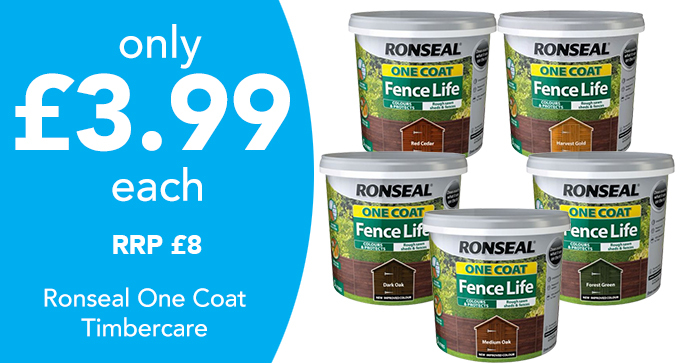 At £3.99 they’re cheap, bright and practical - perfect for chilling out on, come rain or shine! 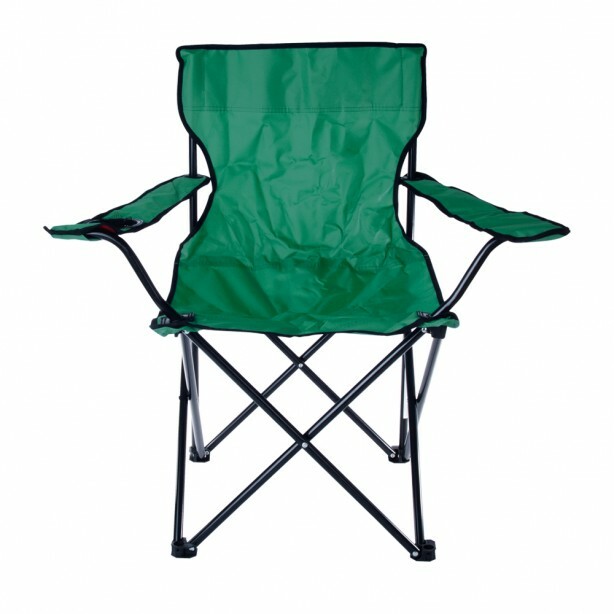 Or if you're really going to pull out all the stops, pick up a folding camping chair! 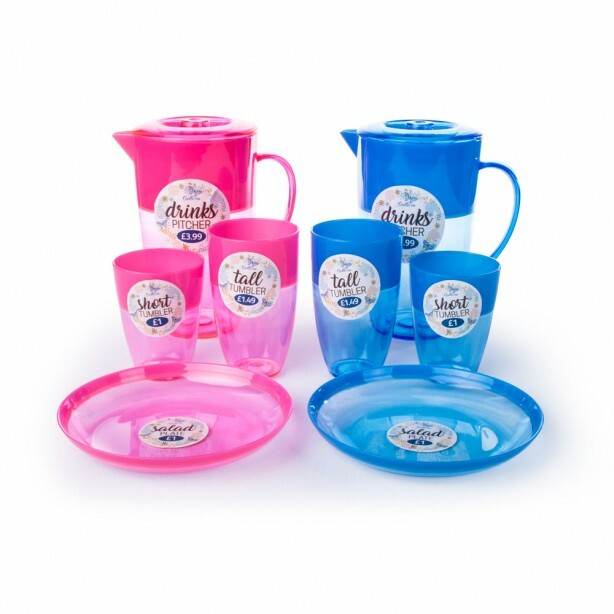 You might get some stick from your more ‘free-spirited’ mates who reckon 'you should be dancing' all weekend but, with a built-in drinks holder and in four different colours, you’ll definitely have the last laugh! 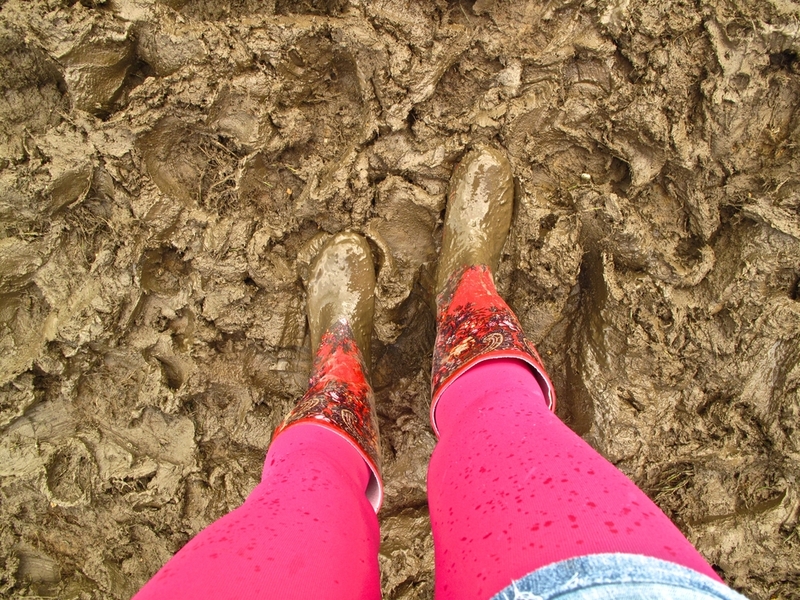 Especially when you’re perched on the only thing separating you from the mud that’s claimed the lives of most of your mates’ wellies. 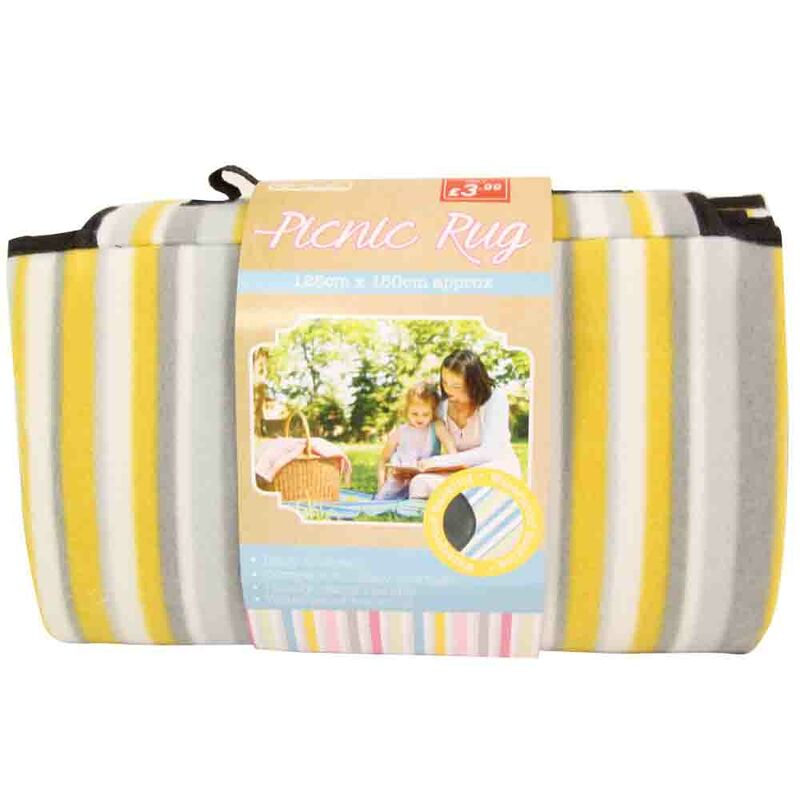 Plus, it comes with an easy carry bag to fold it back into so you can always guarantee somewhere comfy to sit! Whilst most people spend the festival walking around looking for their sanity, you may find you fancy something to nibble at some point. HEALTH TOOLS: REMEMBER, Your body is a TEMPLE, NOT A BIN BAG. 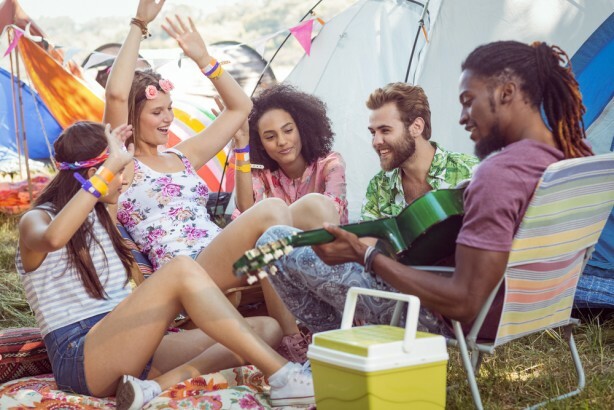 Despite spending 361 days of the year acting moderately normal with three meals a day and ‘a couple’ in the pub on a Friday after work, some people get that caught up in the hippy vibe of a festival, they end up forgetting how to look after themselves within the realms of what’s socially acceptable. 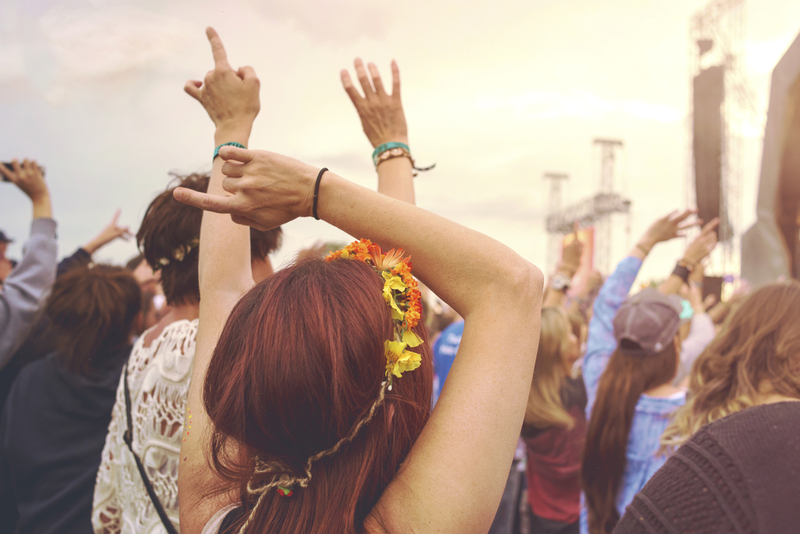 Let’s be honest-- festivals are both physically and mentally strenuous, and can only be completed successfully by savvy people. Please note: these are NOT the people who say things like ‘water’s for the weak’ or insist on relating everything back to their ‘gap year’. And finally, make sure you’re not the one needing somebody to 'lean on' at Major Lazer and 'reload' with some Red Bull! 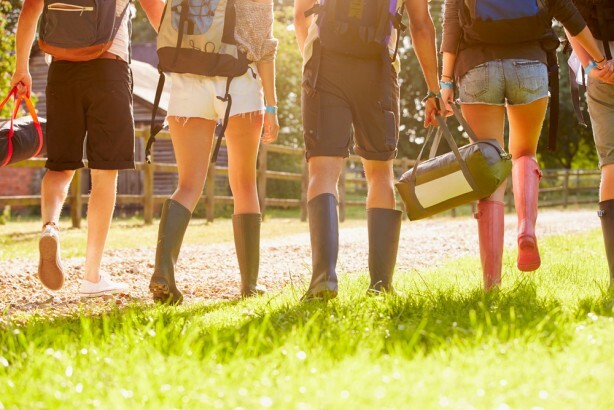 So, there you have it—the list of handy festival essentials at bargain prices! And it doesn't stop there! We have a massive selection of choccies, crisps and nibbles on offer so 'don't you forget about' Poundstretcher and make a pit-stop before you head off to Just Dance! ‘Thank You, Teacher!’ – The Gifts They Want! It’s July, and you know what that means? No, I don’t mean Wimbledon; I’m talking about the end of the academic year! 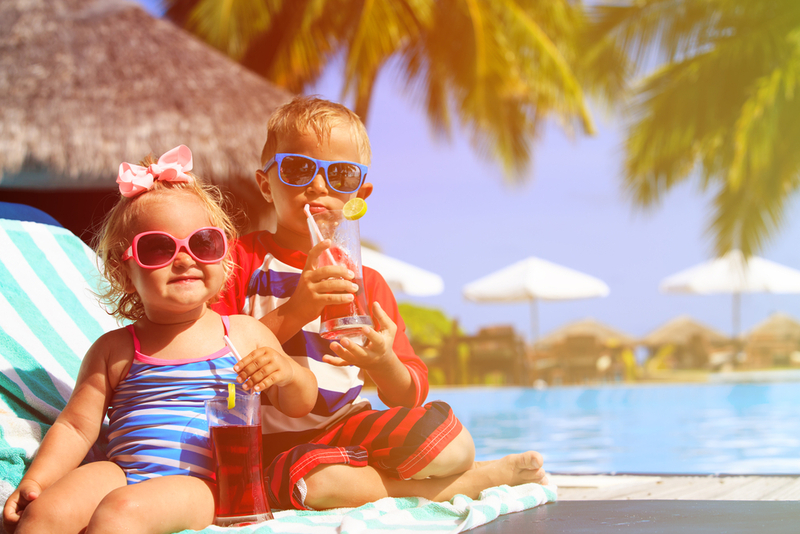 Soon kids will be flooding the streets, making the most out of a summer that’s claimed to be scorching, whilst some will be jetting away for holidays to explore new lands and gain new experiences. However, before that happens there’s still the little matter of the last couple of weeks before school actually ends. 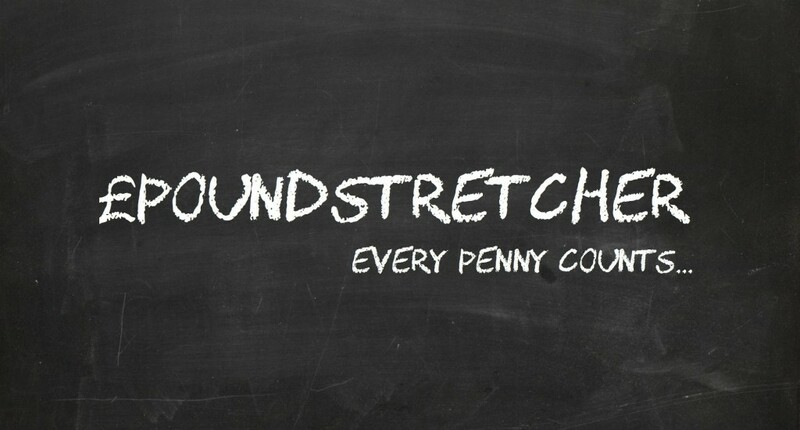 And so, you may be thinking about buying a little something-something to say 'thank you' to that teacher who has worked so hard throughout the year, put in loads of effort, and has truly made a difference? 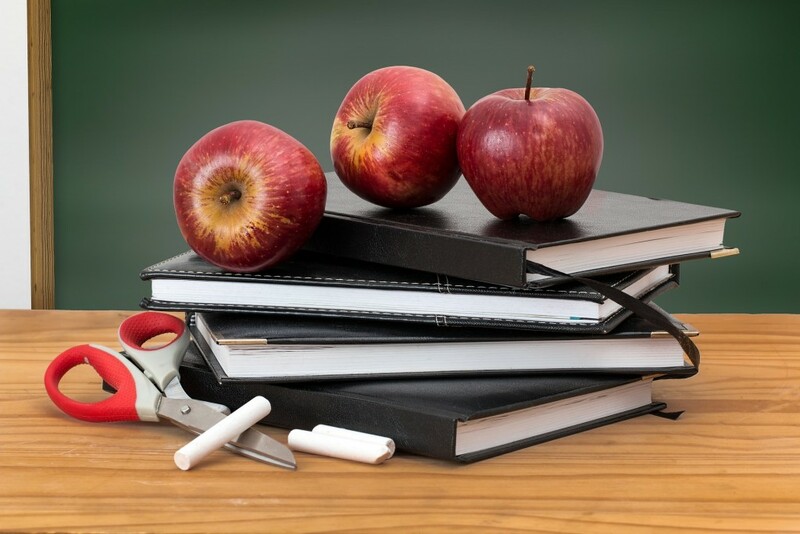 Appreciation for teachers, the ones shaping today’s youth into the future working citizens of this country, is one of those end-of-year traditions that, no matter the age group they teach, ends the year on a high note. Due to their caring nature, teachers love any present; it’s true. However, there are gifts that can go the extra mile, and it doesn't have to break your budget and can still come straight from the heart. After all, the last thing you want to give them is something they already have a lot of, and, as a consequence, they won’t even use it! So, here are a few versatile gift ideas if you’re still scratching your head over what to get. 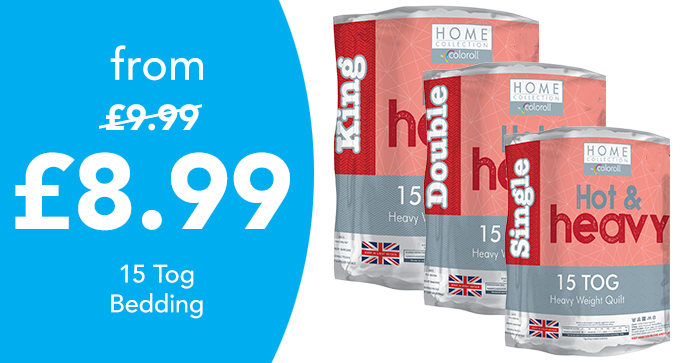 They’re all useful, they’re all affordable, and they’re all here at Poundstretcher! C is for ‘Chocolate’, L is for ‘Lots of it’! 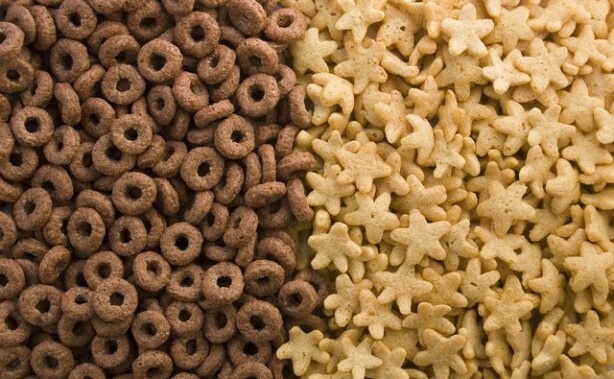 Shall we start with the tastiest and most obvious choice? Chocolate! Sweet, sweet chocolate! 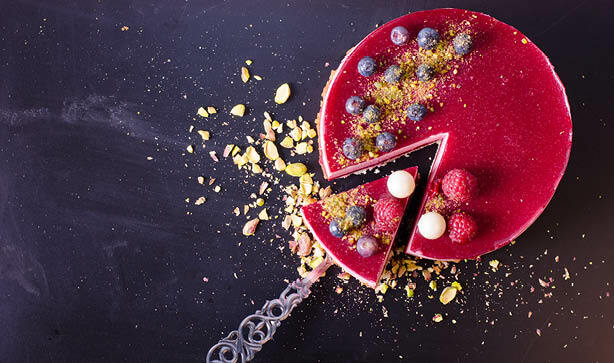 Why not just end the year with a touch of sweetness and stick to this safe and delicious option? 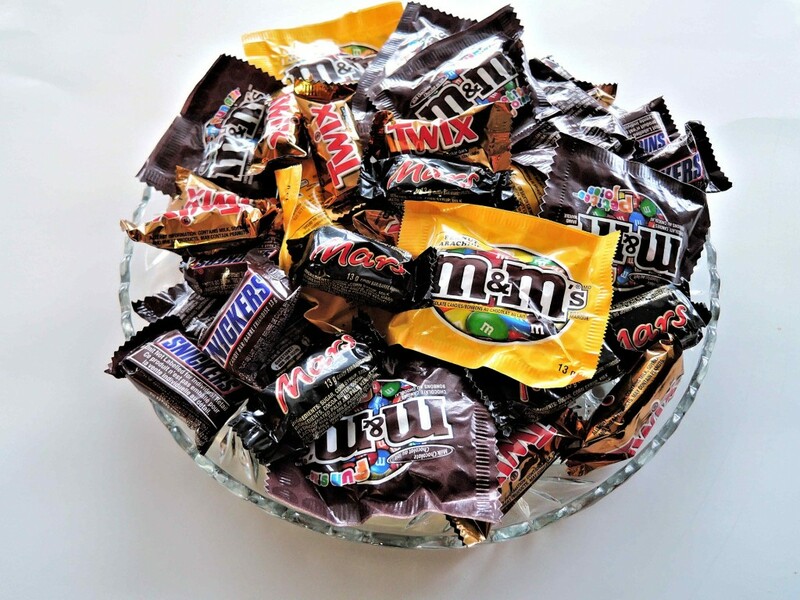 You’d only find a very small handful of people out there who don’t love such a treat; there’s just so much choice when it comes to the sugary stuff. If you’re hunting for something simple and classic, then nothing can trump the crispy aspect of Maltesers or the variety of Quality Street. However, if you’re looking for something that looks a little more special, then we at Poundstretcher have you covered with our Cadbury Milk Tray, a small selection of flavoured Cadbury milk chocolate. There’s plenty more where that came from too. 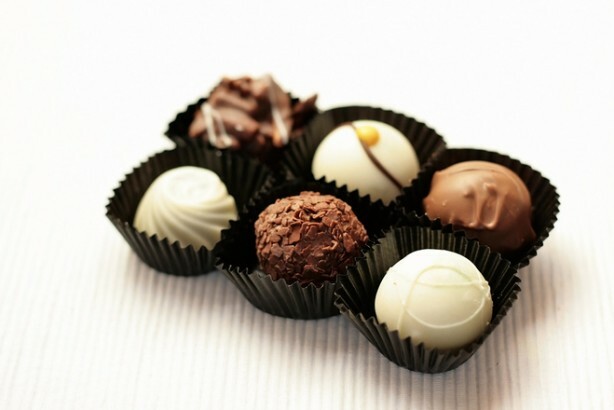 We stock a wide range of chocolates, from bars to pouches to eggs (cream eggs to be exact). They all make the perfect snack to feast on in those last few days of after-school marking before that nice, long, well-deserved summer break. 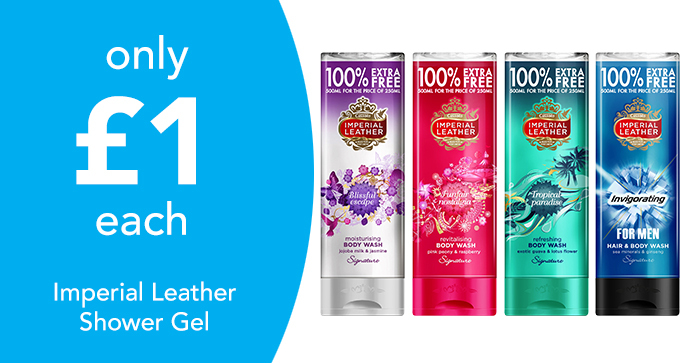 If chocolate is a no-go, then why not give that special teacher in your life a dash of aromatherapy? No, I don’t mean some fancy spa treatment. Something as simple as a reed diffuser or a candle is more than enough to fill their living space with a fragrance that’ll relax them after a long day. Inject some vigour into their home, especially during those long summer days, with some reed diffusers. Coming in lavender, sweet pea, fresh cotton, and French vanilla scents, there’s enough to pick from and a range spanning fresh scents to those sweet-smelling ones. Also, if reed diffusers aren’t hip enough, then you can always get them a candle IN a Mason jar. Stylish, right? 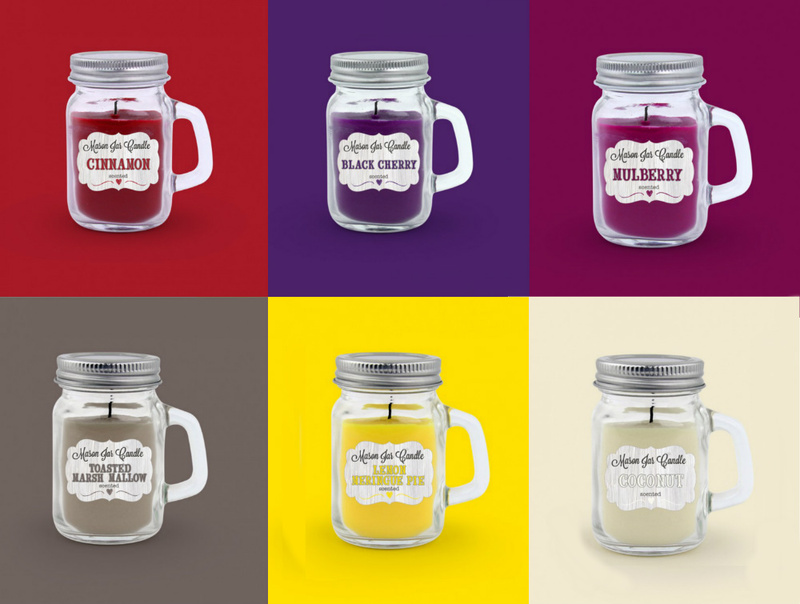 These mini Mason jar candles come in a range of mouth-watering fragrances: cherry, coconut, mulberry, and even marshmallow! The handle makes for easy moving around the home, and the quirky style will fit comfortably in any room. No matter where they go, a relaxing scent can always be there for when they just want to chill. However, whilst smelly things are a great gift idea, tread lightly; think long and hard about what fragrance you think the teacher would like, or ask them directly (or be sneaky and have your child ask). Like perfumes and aftershaves, there are many scents out there, and not everyone likes everything. Alliteration is great, isn’t it? We learnt it gives colour and a sticking-power in our writing. That’s exactly what these next few ideas will do to your teacher’s desk, be it in the classroom or at home. So, after the edible stuff and the smelly things, here’s some purely aesthetic, handy little things teachers will love. There's one thing that a teacher always needs more of (aside from time), and that's storage. With the mass amount of pens, pencils, toys, books, papers, and inky stamps, there has to be a place to put them all. That's where these practical storage boxes come in! Regardless if the teacher in question would prefer pretty butterflies, flowers, or bold geometric shapes, why not allow them to have their things kept safe in a neat and organised way? And to top it off? Why not utilise the power of the sun itself with this adorable Solar Flower Buddy (also makes for a useful teaching aid)? Watch it dance side-to-side as it soaks up the sun's rays! 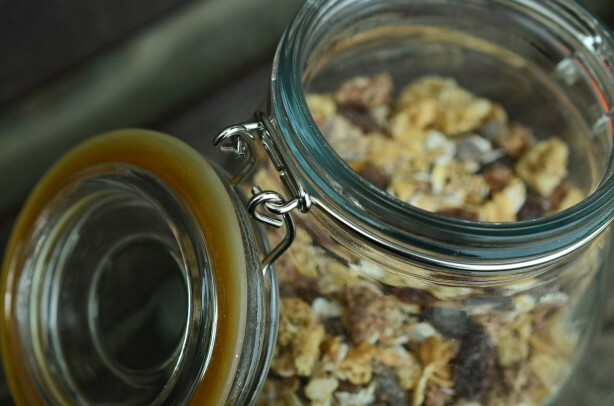 If you’d rather go the extra mile and instead get your creative juices flowing, then why not think about using a Mason jar and turn it into a fantastic homemade gift? How, you may ask? Simple, take some of our delicious sweets (such as our Maltesers, Skittles, or Squashies) and stuff them inside, creating a more personalised gift than simply handing a standard bag over. Don’t want to go in the sweets direction? Then you could always fill it with handwritten messages of praise and admiration. Once the jar is empty, it can then serve another purpose: being a quirky pencil pot to keep on their desk, or to simply keep at home for all their marking stationery. The last idea is a keeper; chocolate – wait, did this already get mentioned? It did? Well, can you blame us for wanting to mention it twice? 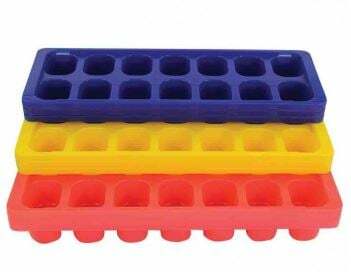 It really is the staple to give your beloved teacher something edible to munch on when they finally get to put their feet up for the summer. 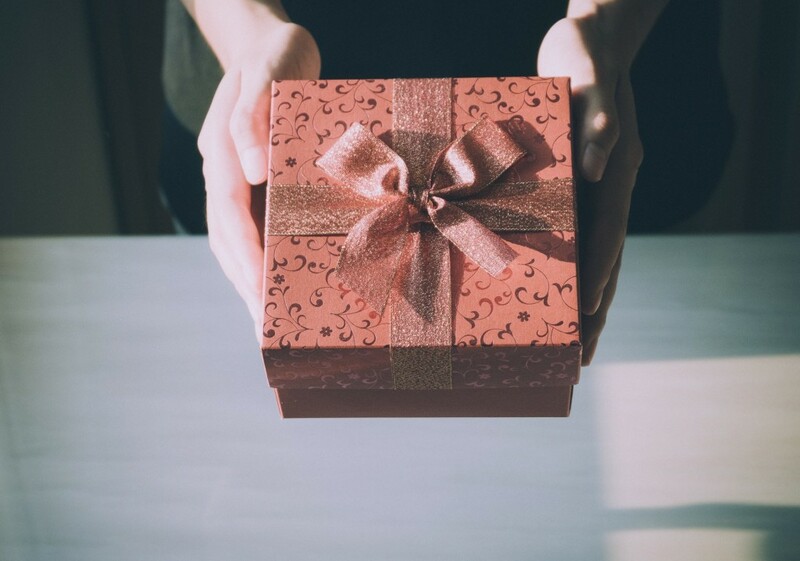 All in all, no matter what you decide on to say 'thank you', make sure to give the gift search a big A for Effort! Head on down to your local Poundstretcher and find that perfect bargain gift today (remember: only a couple of weeks left)! The HOW TO guide: doing Father's Day on a budget! It’s that time of year again to celebrate that legendary man whose life teachings became fundamental pillar blocks to your general success as a human being! The Man who introduced you to The Matrix. 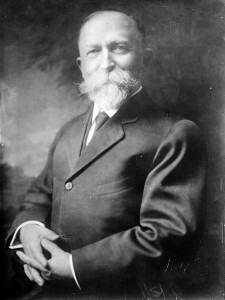 The Man whose years of nagging carved you into a professional ‘light-switcher-off’er. The Man who, in the face of blackened skies and torrential rain, would stand by his decision for a family camping trip, insisting that, surely, it’ll ‘brighten up soon’... 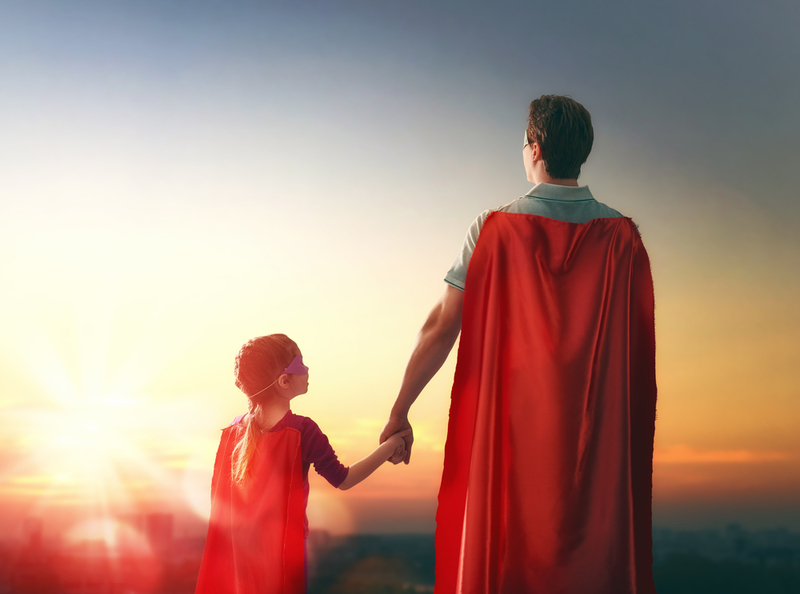 Yes, it's that time of the year to celebrate the man we all call: 'Dad'. 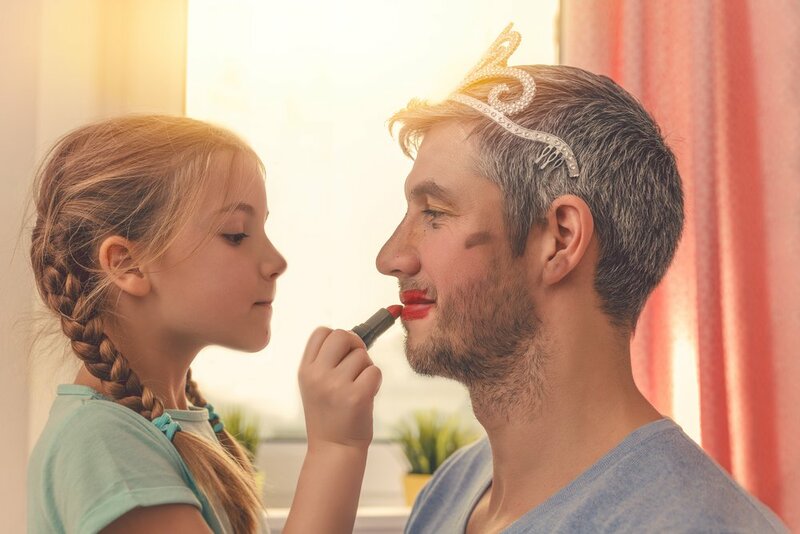 Whilst on Mother’s day a bouquet of daffodils and a card usually suffices, father’s can be slightly trickier creatures to get right in the present department, especially when you’re on a budget! So instead of trudging around shops searching for the flashiest gadget or electronic device to set you back a month’s rent, why not go for something a little less excessive and a little more personal? 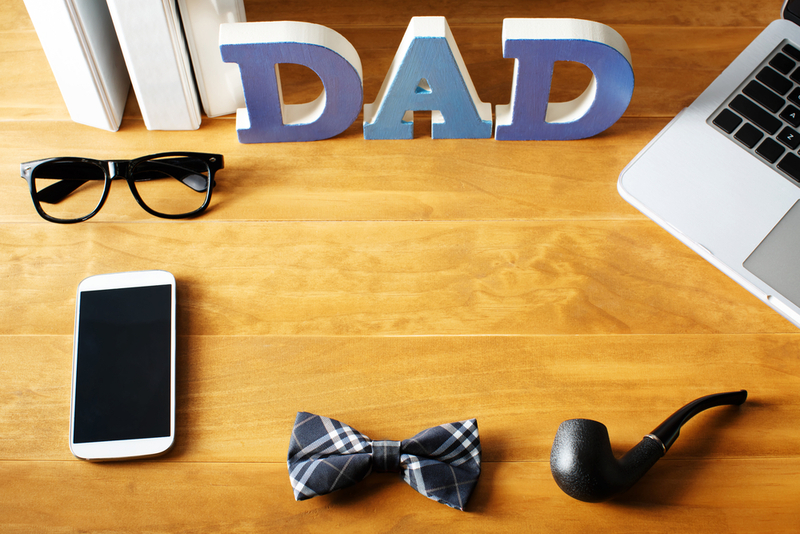 Giving your Dad something more personal this Father's Day could be just the trick! Here’s a couple of ideas HOW TO show your Dad just how much you appreciate him telling you off all those times he caught you opening various objects with your teeth, whilst also being savvy with your pennies! 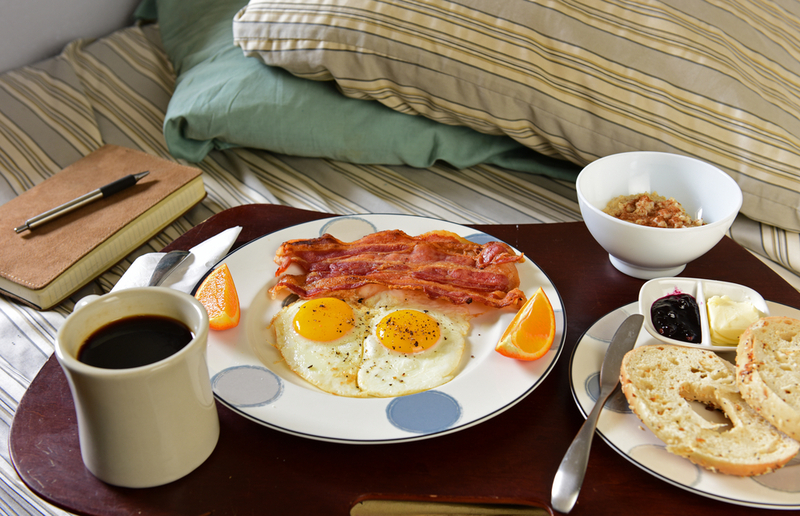 Wake him up with a feast! 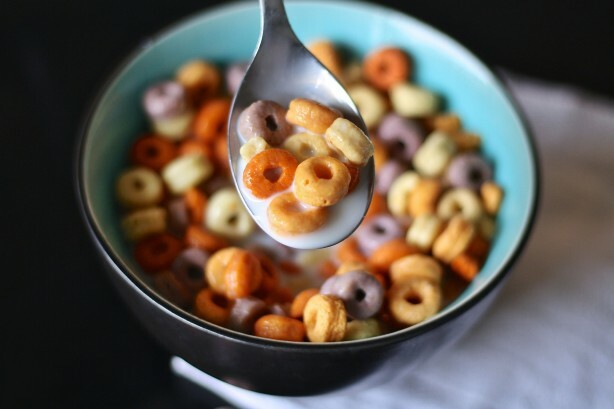 According to reliable sources like all reputable cereal companies or anyone’s mum, breakfast is the most important meal of the day. And, for the majority of the general public, Sunday morning lie-ins are at a superior enjoyment level to most other activities and should be engaged in whenever possible. So, for your dad this year, why not get up an hour earlier, peel your eyes away from your pillows or Xbox screen and make him Breakfast in Bed! To save disappointment on both parties, however, why not make life easy for yourself? 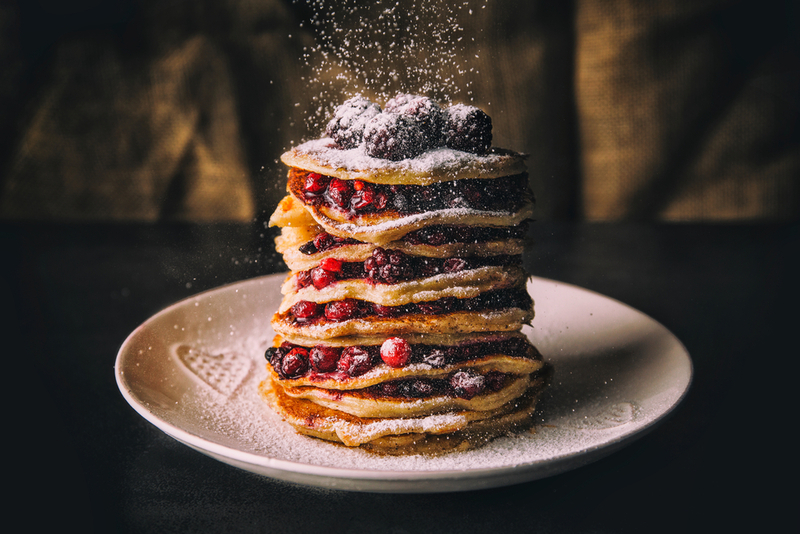 Pancake Stack with juicy berries and a generous dusting of achievement! And if you want to create something a little more fancy, why not get yourself an egg poacher and go with a show-stopping ‘Eggs Benedict’? 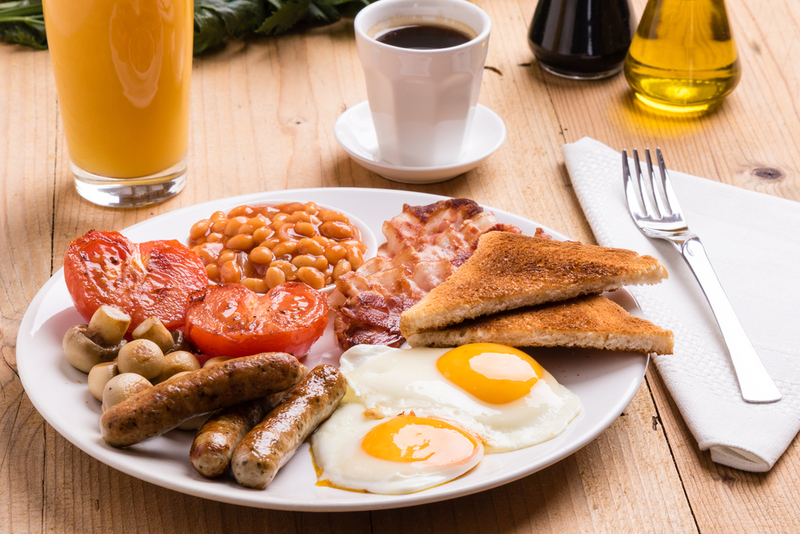 Whether he’s a Full English kind of bloke, welcoming any amounts of fried extras, or he’s the sort of man who drenches his muesli in hot water, at Poundstretcher, we’ve got a huge range of kitchen products—from muffin trays to mini frying pans, so you can give your Dad an impressive breakfast he hasn’t had to make himself for less! Go on— push the TOAST out! Get him off the sofa and into a deck chair! 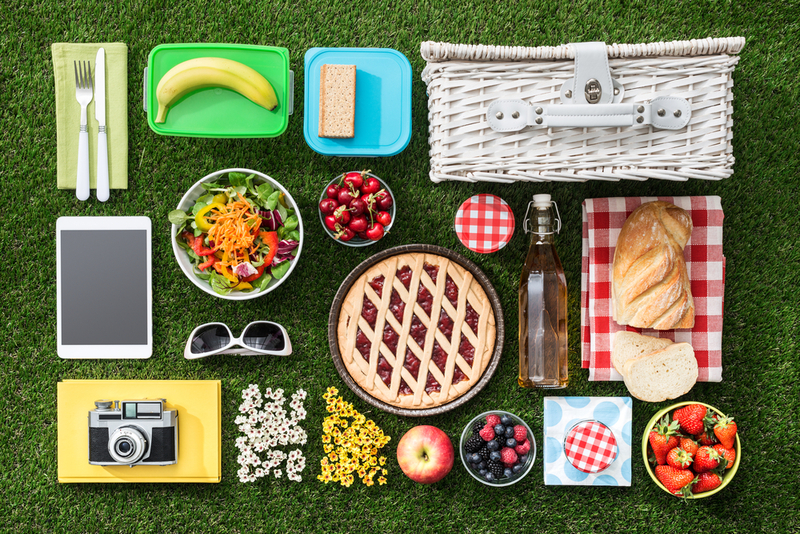 Father’s Day is about him relaxing and enjoying himself so, after his ‘world-class’ breakfast, why not get a little picnic together, round up the family and head down to the local park or beach and catch some rays? Kit yourself out with a picnic blanket, outdoor plates, party drinks bottles, sharing bowls filled with crisps, homemade salad or nuts. And don’t forget a cool box to keep your drinks cool and your sandwiches intact! 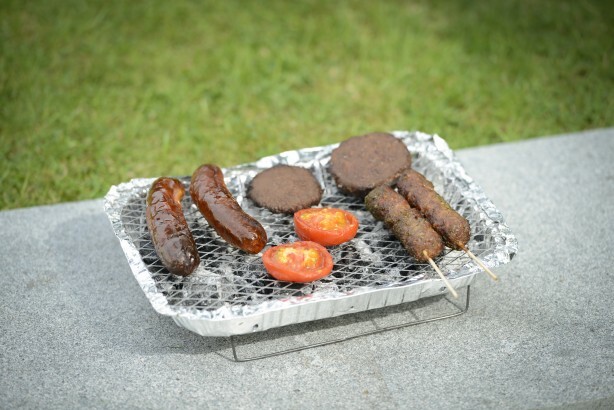 If you’re less about the ‘planning and prep’ side of eating al fresco, why not pick up a couple of disposable BBQs and a bag of assorted meat and veg to get on the grill? 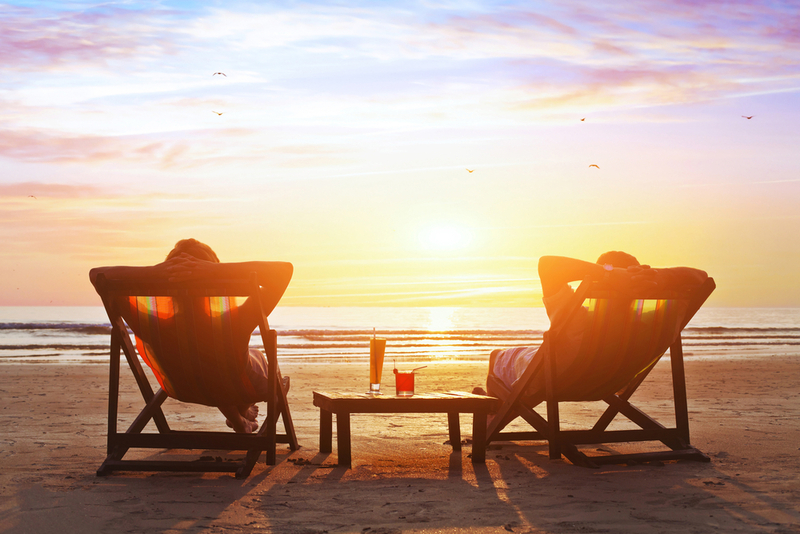 The important thing is to get your dad in a comfy chair under the sun with something to keep him occupied, like a Paper or a beer. Then you could probably feed him just about anything! Obviously, it’s important not to forget the naughty nibbles for afters! Since here at Poundstretcher we always have an endless supply of amazing confectionary deals­— like boxes of 120g Maltesers and bags of Mars Mini-bites for just £1­— you can satisfy, not only your dad’s sweet-tooth, but the rest of your family’s as well! So, take a break from the tele and make sure you get your family out this Father’s Day! And a few added extras, because everyone loves a surprise! Obviously if you fancy getting him a few little treats— some Father’s day stocking fillers— then we have some amazing deals on gifts for him too! With our range of Umbro 100ml Eau de Toilette only £1.49, the brand new collection of our Classic and Cavailia branded boxer shorts and the amazing deals on summer socks, you can still surprise him with a few goodies without breaking your budget! 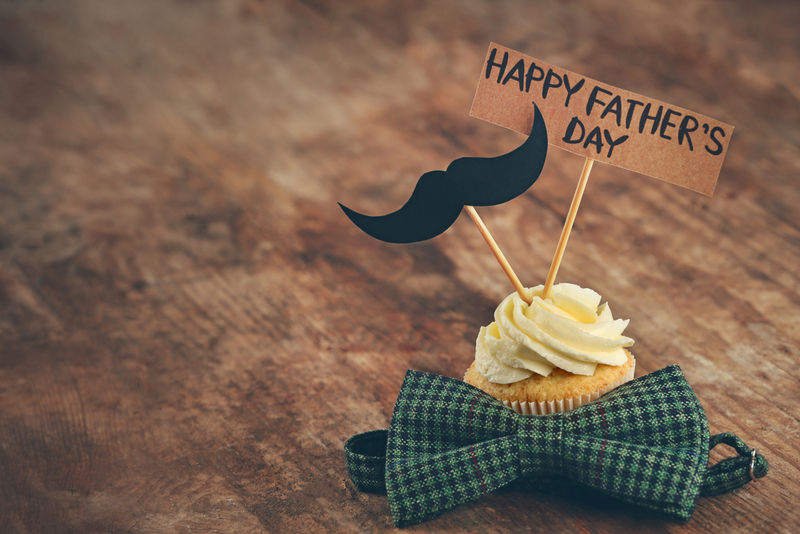 So, whatever your budget, make sure your Dad feels like a King this Father's Day! Because, let's be honest, that's exactly what he is! 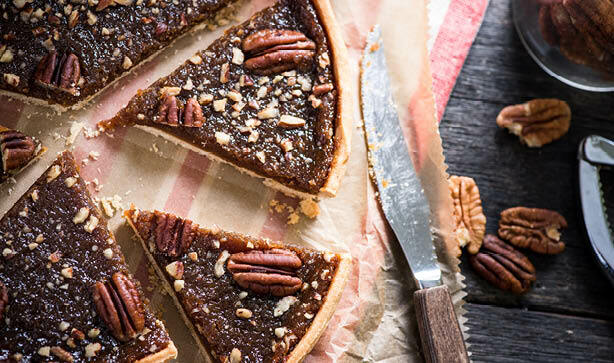 To celebrate White Chocolate Day that happened this week, we thought we’d compile a list of all the ways you can use the chocolatey treat and share our favourite recipes with you! 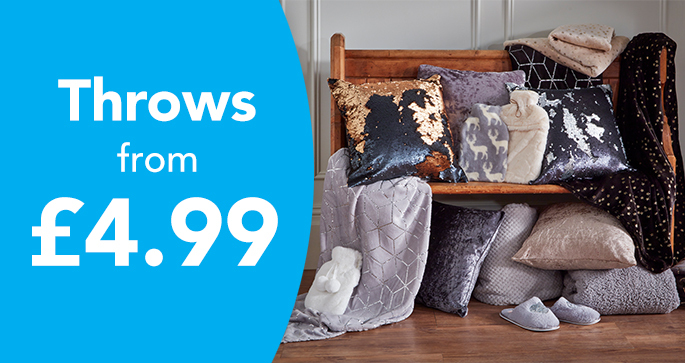 All products mentioned are Poundstretcher worthy and you won’t need to break the bank to buy our stuff! BE WARNED YOU WILL CRAVE CHOCOLATE THROUGHOUT THIS POST! The obvious way is too of course is EAT it! If you fancy a pick me, we have plenty of chocolate waiting to be eaten in our stores at great prices! 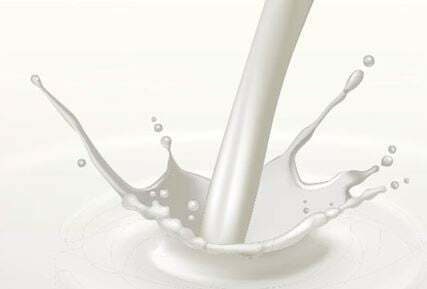 2) Drink it- We suggest making White Hot chocolate for that creamier finish for those cold nights! You don’t need to stop just there. 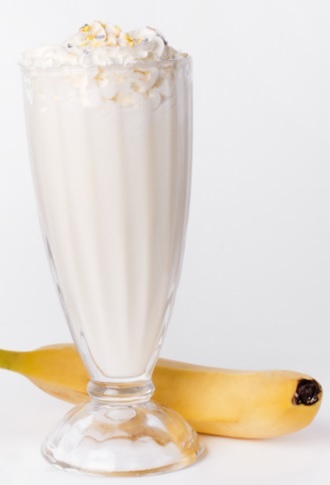 You can also use it to make the most delish milkshake! 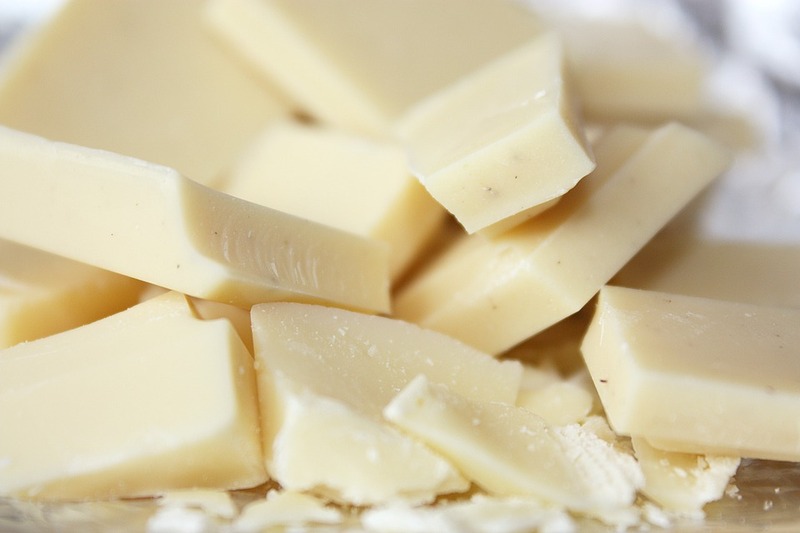 Grate the block of white chocolate and use to garnish on top of the milkshake and serve! 3) Make ice cubes- If you want to add a bit of flavour to your drink, these flavoured ice cubes will do just the trick! They are perfect to accompany with milkshakes. Pour the mixture over the chocolate and then allow the chocolate to melt for five minutes. 4) Dip it- Create a white chocolate sauce by melting the chocolate that can be used as a dip or even as a sauce that can be drizzled on to other treats such as cakes, brownies or other goodies that tickle your fancy! 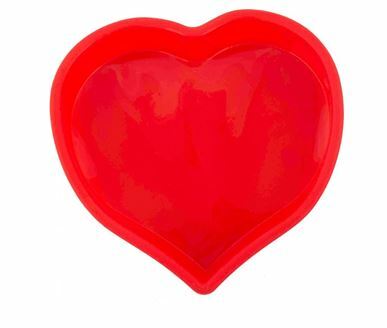 5) Mould it- Why not get creative and use it to create some fancy shapes or use our Silicone Heart Baking Pan and share some chocolate loving! Refrigerate for 20-30 minutes and voila your chocolate mould is ready! With our tips on how to use white chocolate, we hope this gives you an inspiration on what to do with your white chocolate this week! Tweet us with how you used your white chocolate today or tag us in your Instagram pictures! Don’t forget to like us on Facebook! The Summer holidays are officially here! 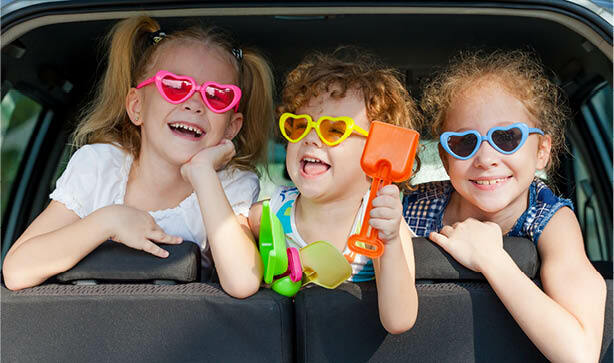 You’ve probably got lots of fun and exciting Summer holiday activities planned so you’re bound to be doing a lot of travelling across the UK during the next 6 weeks. 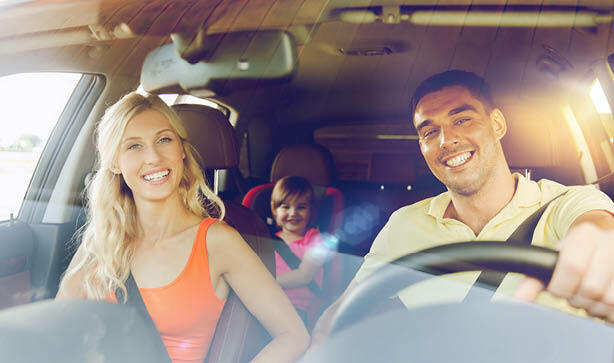 The familiar sounds of ‘are we there yet’ from the back seats, endless queuing, and of course the inevitable expensive snacks. We’ve all been there: you head off to a fair ground or a wildlife park to have a cracking time with the family and suddenly you’re broke for the Summer because a few hot dogs have made you dip in to your overdraft. 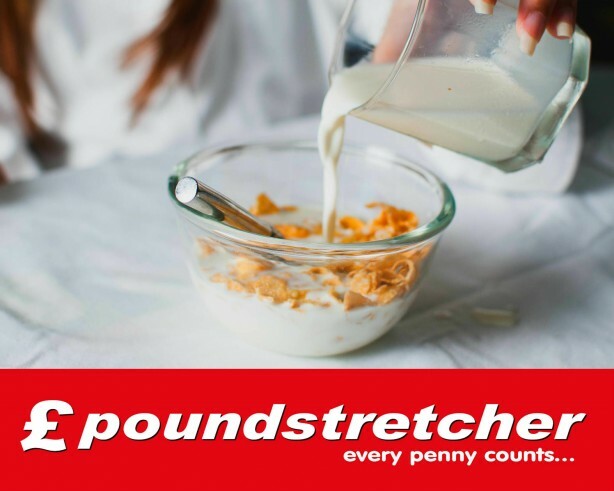 We’re all about saving those pennies and pounds – after all it’s why we’re called Poundstretcher! 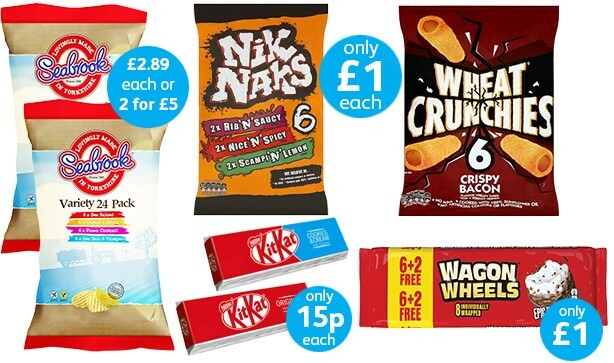 So we thought we’d give you some simple snacks that won’t cost you more than your day out itself! Running after the kids, keeping granny and grandad out of trouble, and of course let’s not forget making sure your other half is still trailing behind you all is not an easy task. So you’re going to need to remember to eat amongst the chaos and keep your strength up! Chances are you’re going to be leaving at stupid o’clock in the morning which means you have to wake up the mini ones and make sure they’re ready on time. You’re going to need a lot of snacks and tons of coffee. Not just any coffee though, you need a sumptuously rich nectar of the gods that will make your soul thank the heavens for those finely ground little beans. In other words, your old friend Douwe Egberts Coffee Pure Indulgence Coffee (£3.99) will keep you awake for the long day. It's strength is measured 4 out of 5 so it'll definitely put a spring in your step! Pick up one of our witty Stainless Steel Travel Mugs for just £1.99 so your coffee stays hot to keep your head cool during the Summer shenanigans. 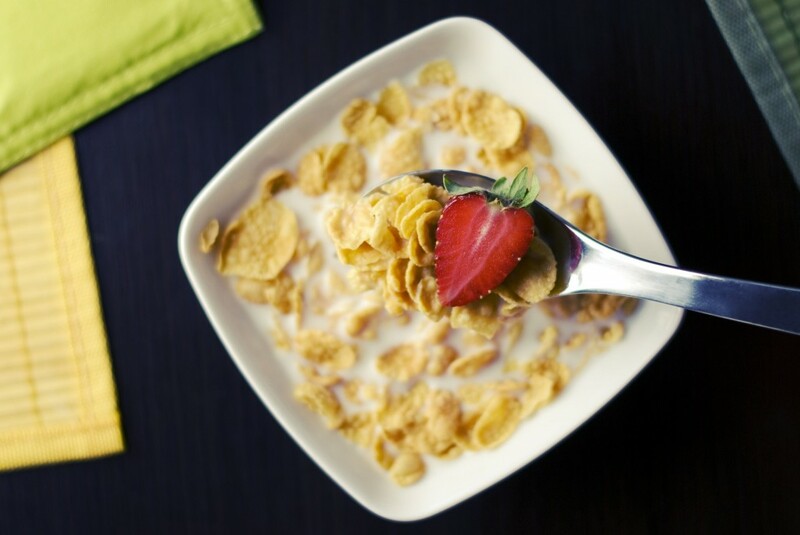 If you’ve skipped breakfast, reach for the Go Ahead Yoghurt Break 5 PK (£1.00) just before the big drive for a quick bite. Half way there if you can’t bear to listen to the kids arguing in the back of the car anymore, open up some Cadbury Crunchie Rocks (£1.00) so your chomping will mute their noise! 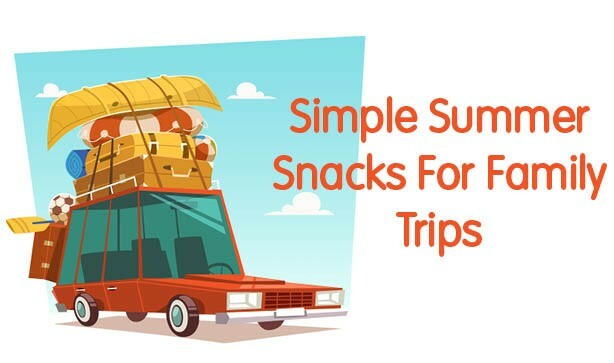 Snacks the way to handle a stressful road trip! It’s typical that you’ll get 30 minutes in to the drive and suddenly hear a small voice in the back seat say ‘I’m hungry’. If it’s still early in the morning, a Cadbury Brunch Bar (6 pack for £1.00) is a fantastic way to keep their energy up and the dreaded hunger at bay. After all, it’s not fun being trapped in a car with hangry kids! For a sweet pick me up, why not reach for the Oreos Original Biscuits (4 pack for £1.00)? It’s an American classic that’s taken the UK by storm with its sweet cocoa biscuit and creamy filling, plus they come in mini packs in the box so the little ones will be too busy munching to moan and whinge! Make sure you give everyone a Robinson’s Fruit Shoot Apple 4 PK (£1.00) half way through your road trip when you know you’re going to stop for petrol soon. Trust me, you do not want any accidents or screaming for the toilet from your tots when you’ve only just set off. If the kids are a bit peckish but you’re almost at your Summer day getaway, open up a bag of Scooby Doo Binky Bites (£1.49) to share. 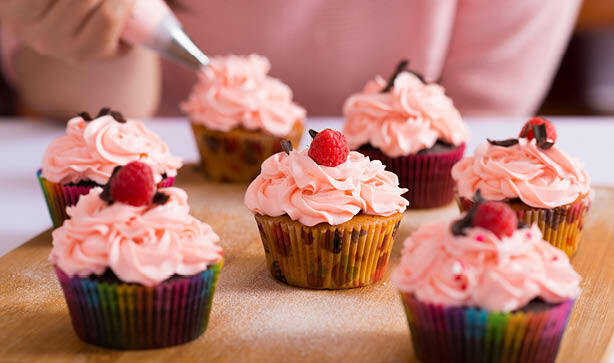 Their fruity filling will be a major hit with the kids and they’re small enough to not spoil their lunch or dinner luckily. Jinkies, prepare for plenty of Scooby and Shaggy impressions coming from the back seat and your other half though zoiks! Add the seasoning of your choice. I’ve gone with salt, garlic, and paprika but you can choose whatever takes your fancy! Bake at 300-400 degrees until nice and crispy. Don’t be afraid to put them in for longer if needed. 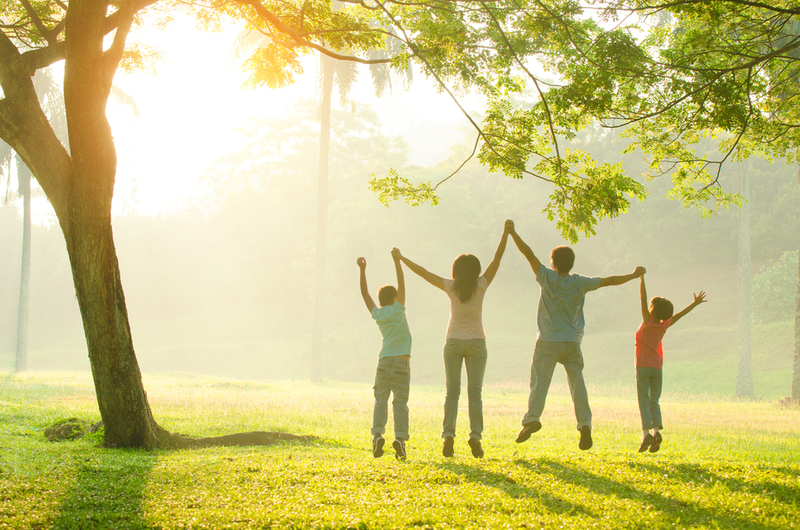 Enjoy family time during the Summer holidays! 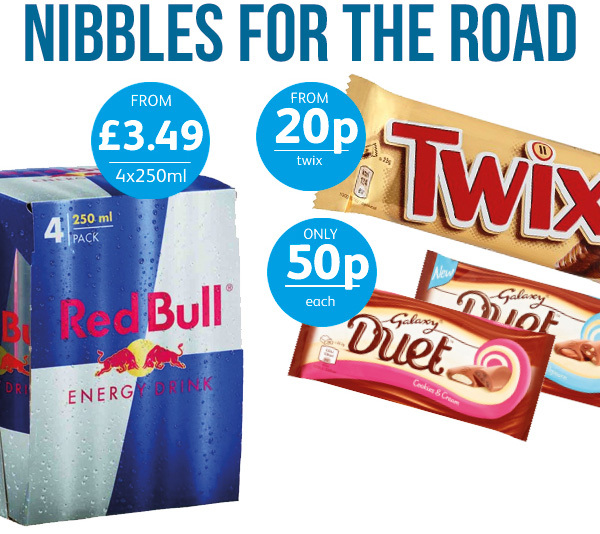 If you'd like to get some road trip snacks, visit our website here to find your nearest store. 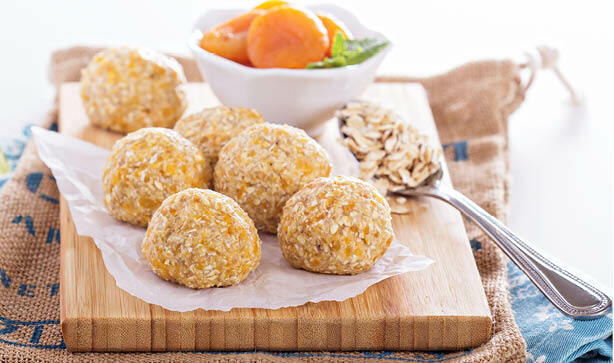 Made some of our healthy Summer snacks? 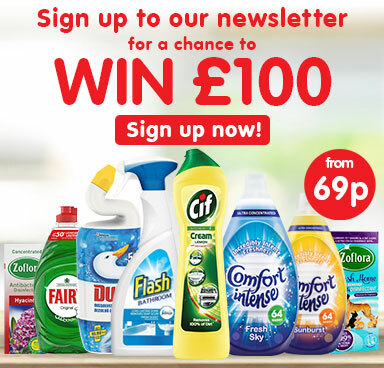 Tag us on Instagram with #Poundstretcher and we'll repost the best!